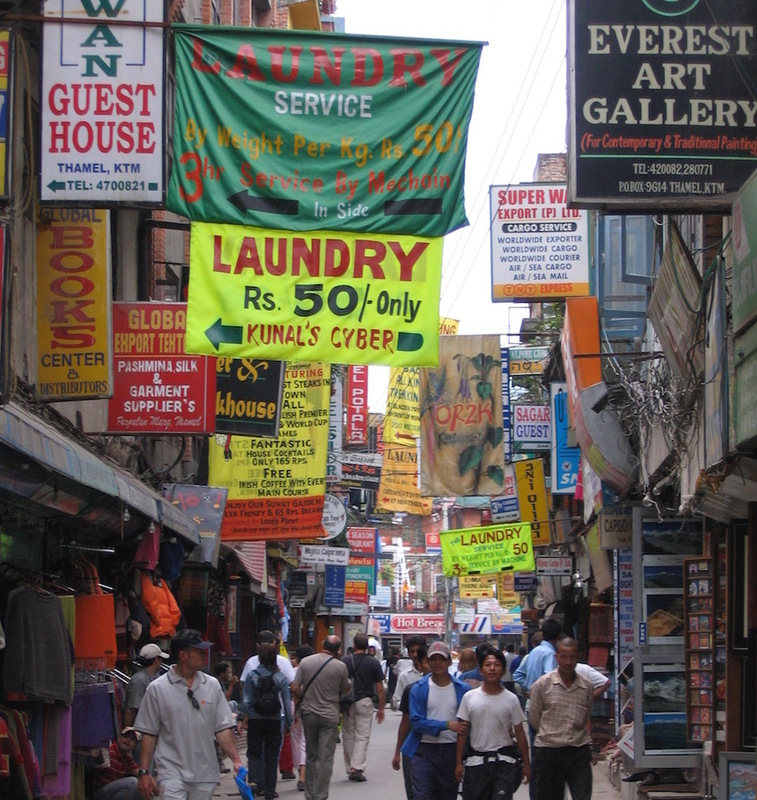 KTM 1 – arrive in Kathmandu. 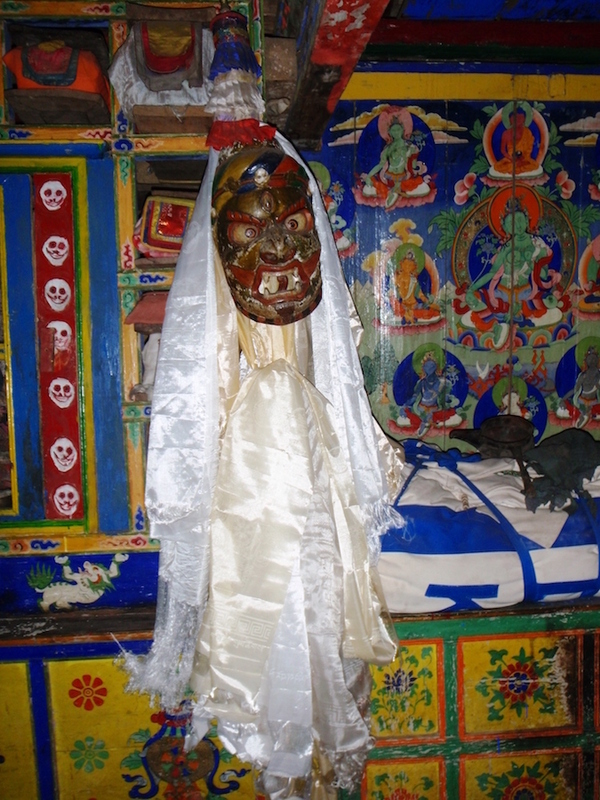 You’ll be met at the airport and taken in private transport to the fabulous Shanker/Yak&Yeti/Vajra/Manaslu Hotel. 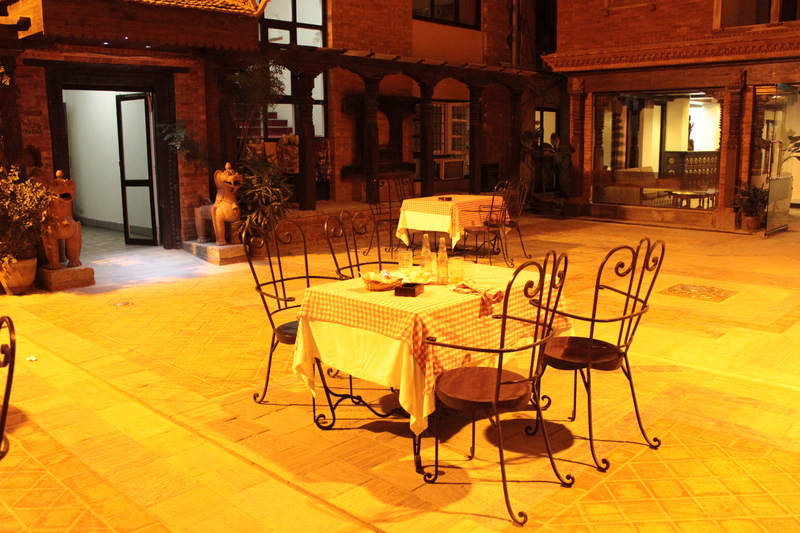 Settle in and depending on what time you arrive, the group will meet for evening drinks. 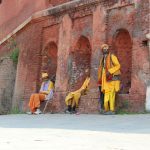 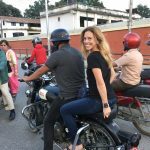 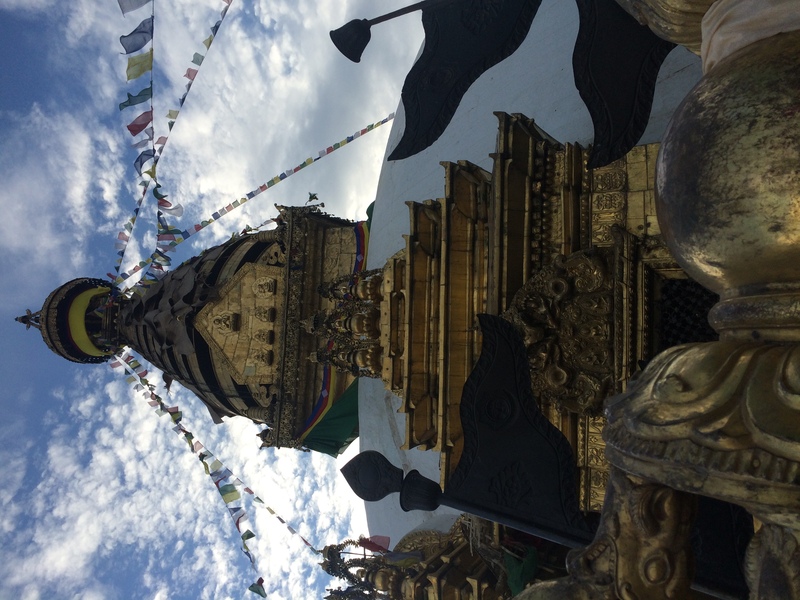 KTM 2 – morning tour of Kathmandu, to include Pashupathi Nath, Monkey Temple and Derba Square. 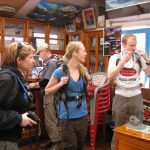 Language specific guides can be arranged to cater for an array of languages, including English, French and Spanish. 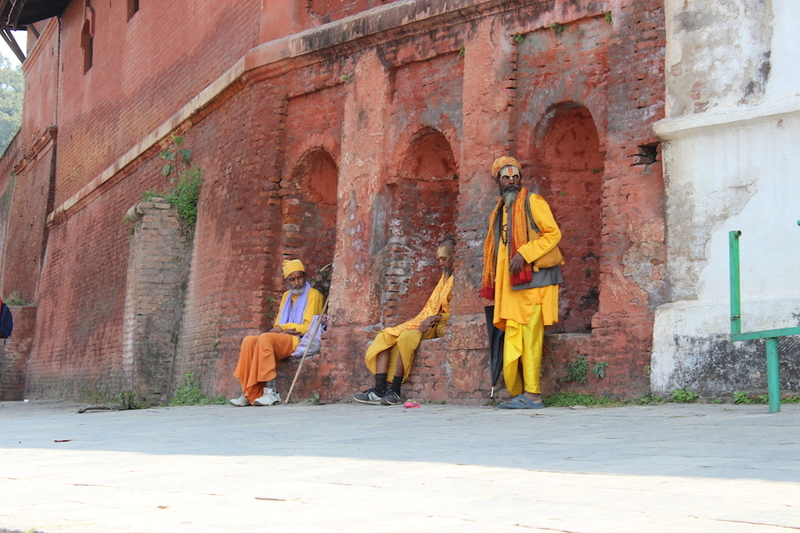 Afternoon at your leisure. 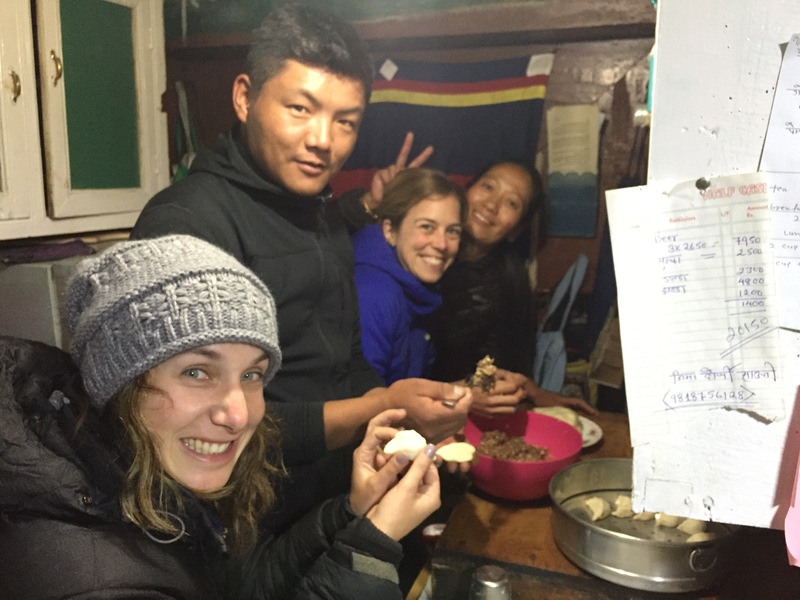 Welcome supper for all of our team at one of our favourite restaurants. 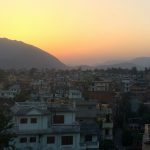 Day 1 – an early start with pick-up at our hotel around 05:30 and transfer to Kathmandu domestic airport. 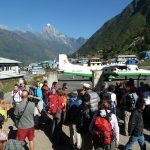 Having negotiated the chaos of the airport (we jest not! 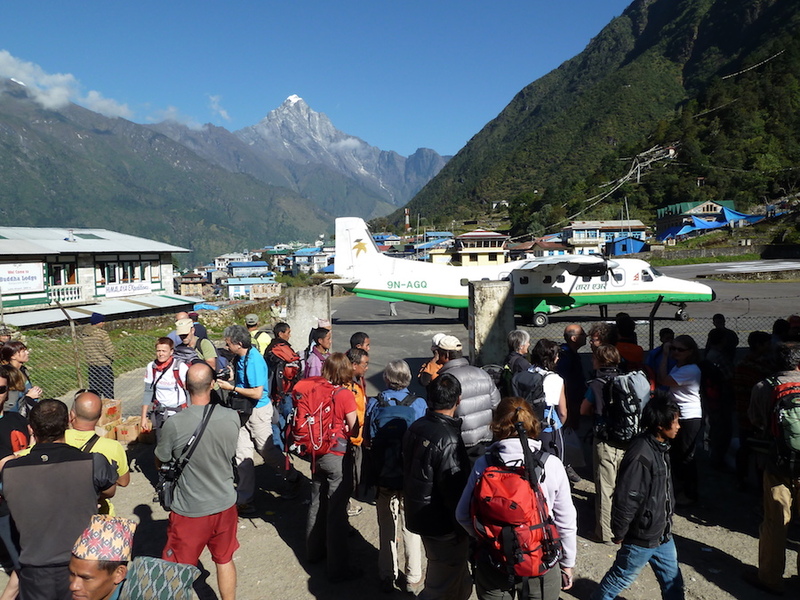 ), all aboard for the incredible flight to Lukla (2840m/9317ft) and the start of our trek to Everest Base Camp. 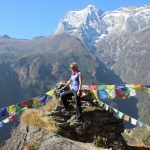 Skirting narrow gorges and contouring some incredible scenery, we land on the 30 degree angulated runway of Lukla – enough to take the breath away, even if the altitude doesn’t! 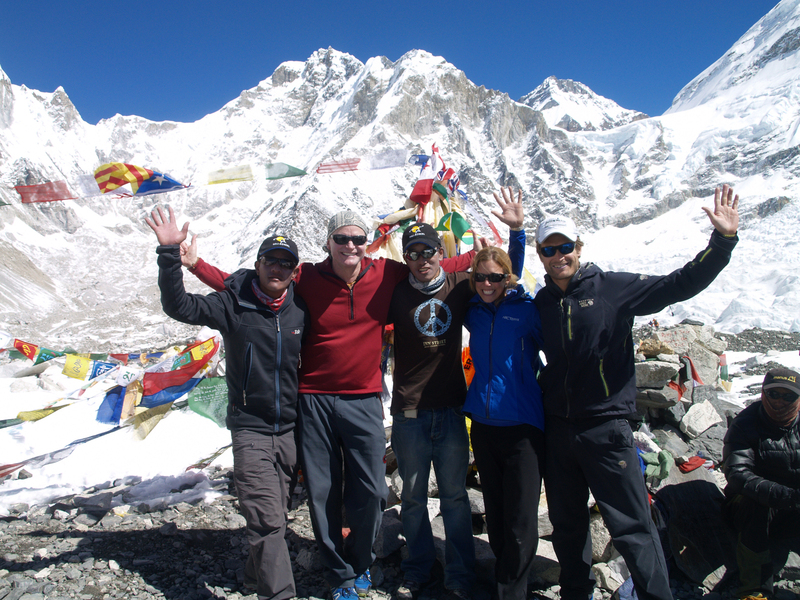 After a reconfiguration of gear and a second breakfast at Paradise Lodge (!) 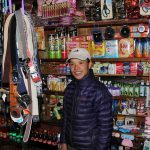 with Dawa Phutti and Ang Pasang (tea house owners), we set off on our walk to Monjo (2835m/9301ft) where we will be staying that night. 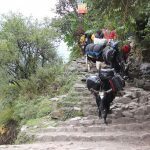 The walk takes us through lush vegetation with blossoms on the trees and vegetables such as Pak Choy, potatoes and cauliflower growing in abundance. 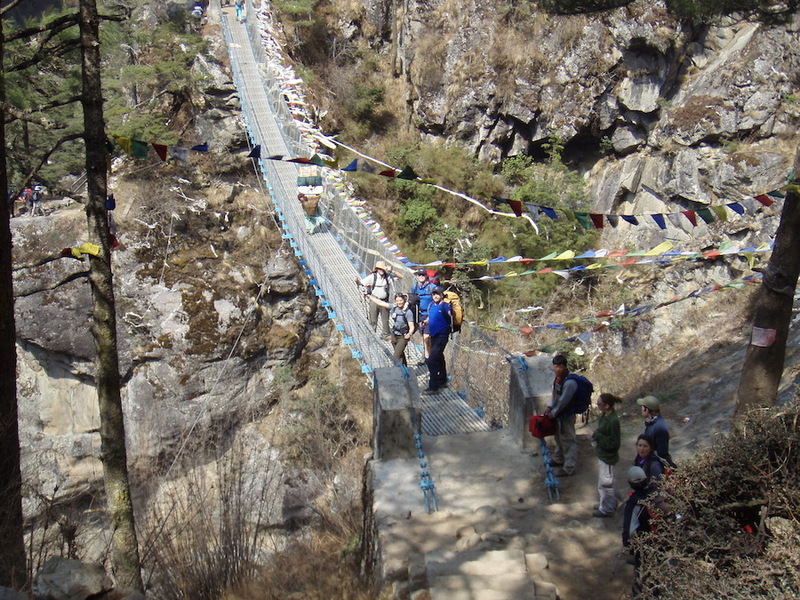 The trail is meandering and we have to cross the river a number of times on cable bridges made famous by this area. 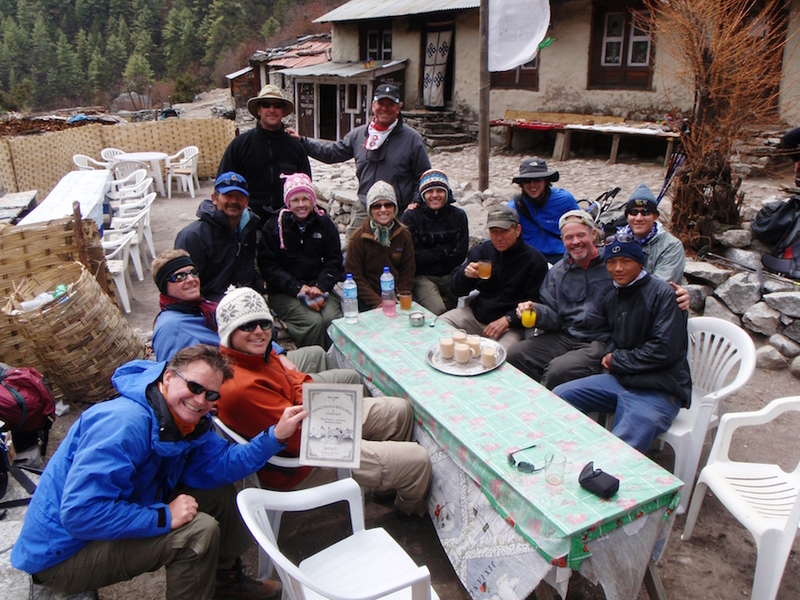 We can stop a number of times for drinks at any one of the many welcoming tea-houses en-route to Phak Ding (2610m/8563ft), our favoured lunch stop. 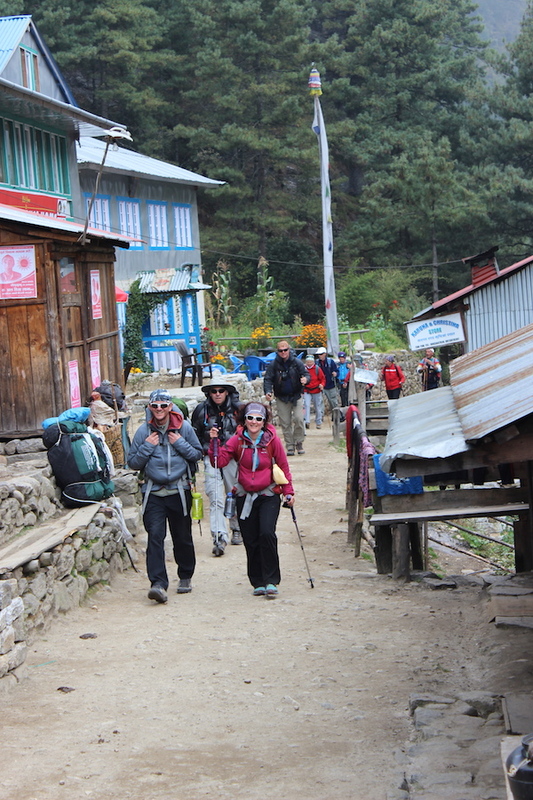 The walk from Lukla to Monjo is easy going, and takes between 5-7 hours, including stops for drinks and lunch. 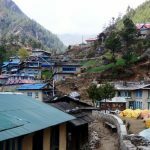 Day 2 – having taken a leisurely breakfast overlooking the river in Monjo, time to pack up and make our way to the market town of Namche Bazaar (3440m/11,286ft). 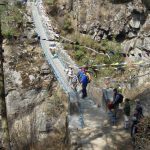 Having passed through Sagarmatha (Everest) Park headquarters and one outstanding river crossing some 50m/165ft in the air, we follow the trail ascending Namche Hill to our final destination. 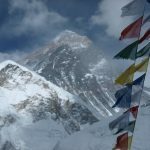 If we’re lucky and the weather is clear, you should get your first glimpse of Everest en-route, fuelling the anticipation of what yet lays ahead. 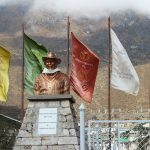 Arriving in Namche, the largest Sherpa village in the Khumbu valley and main trading post in the region (the local super-market so to speak! 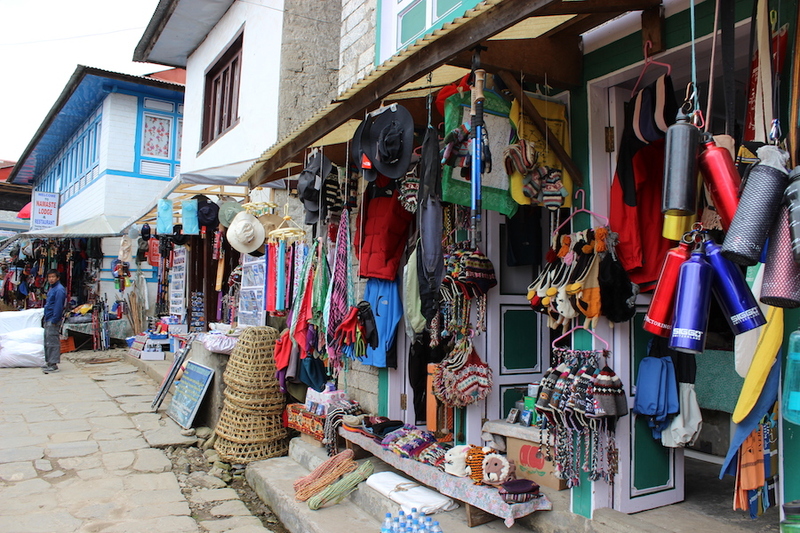 ), one is immediately struck by the menagerie of sights, sounds and smells. 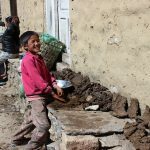 The fusion of Tibetan and Sherpa cultures surrounds you – just like the mountains which tower above this bowl-shaped town, giving you a genuine sense that you are finally, in the Himalayas. 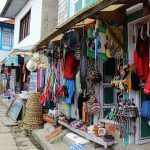 The journey from Monjo takes about 3-4 hours and the afternoon is at your disposal to visit the many shops, stalls, bakeries (yum!) 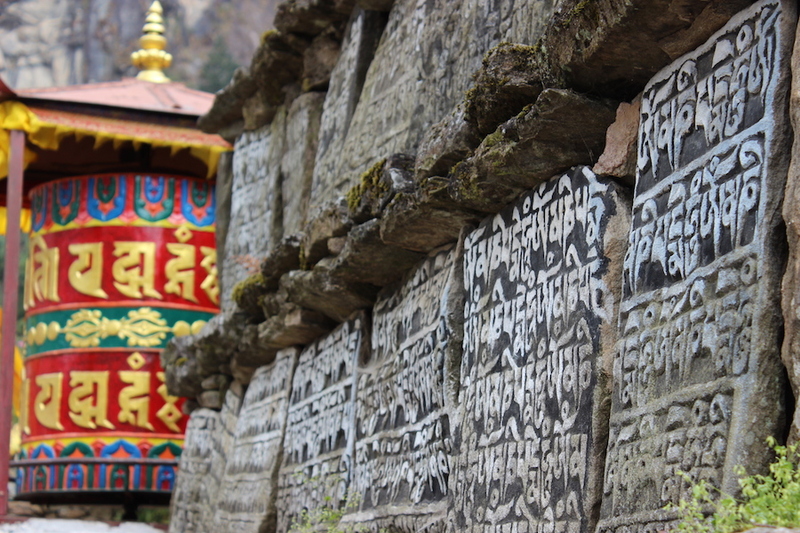 and the monastery which cluster on the hillsides of Namche. 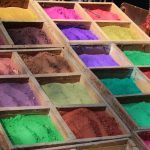 Day 3 – ‘rest day’. 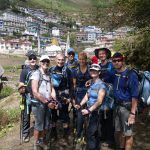 However, we highly recommend that you join us on our morning walk through Syangboche (3720m/12,204ft) and up into Khumjung (3780m/12,401ft). 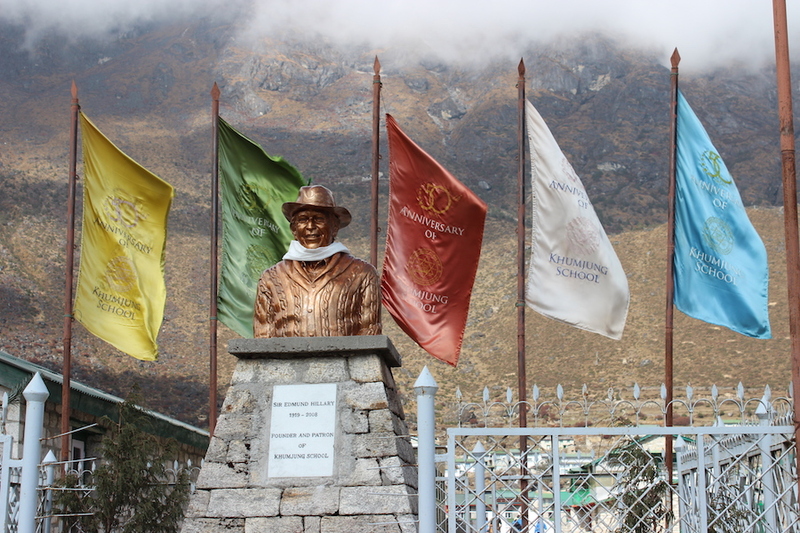 There’s a small landing-strip in Syangboche, so make sure to look left and then right before crossing! 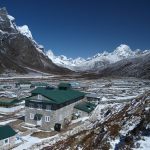 The views from here are incredible, with a number of towering peaks above us, not least the summit of Ama Dablam, arguably one of the most picturesque mountains in the world – the Matterhorn of the Himalayas most people would say. 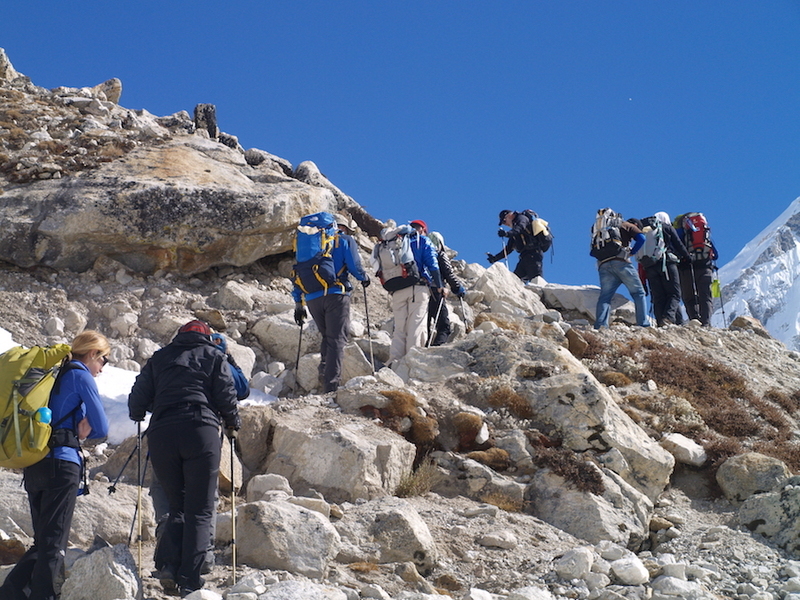 Having sucked in the thin air, we make our way up to the Everest view point. 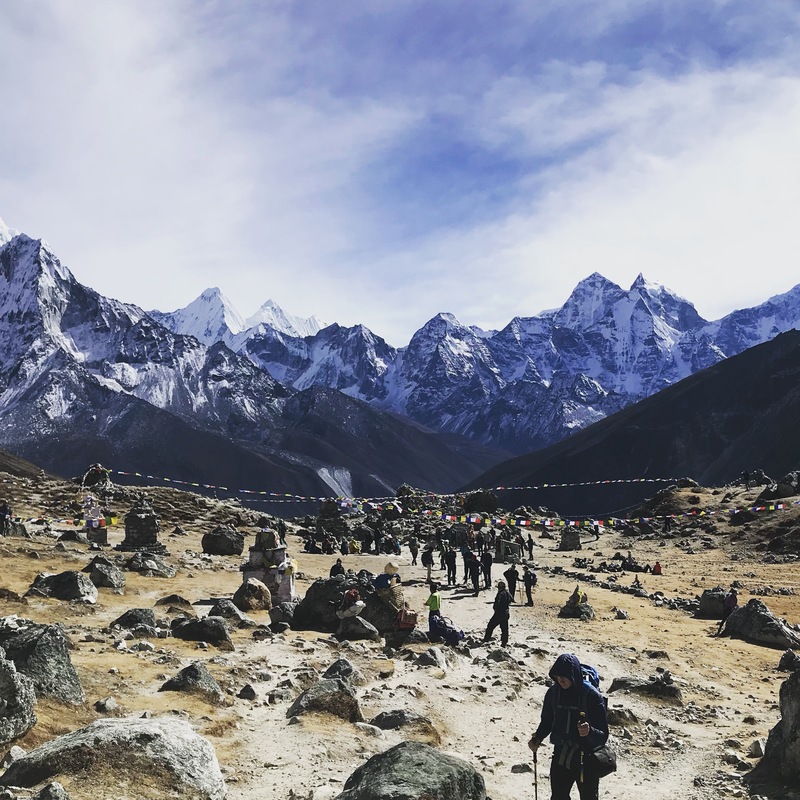 It truly does give us an amazing perspective of the mountain and provides for many, an emotional moment, as they get their first full view of the highest mountain in the world. 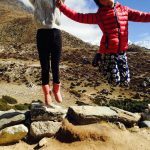 After taking photos and chatting about the mountain for a while, we ascend to Khumjung, the largest Sherpa village in the Khumbu. 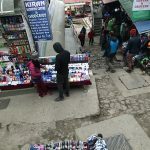 With far fewer tourists frequenting the town than Namche, it retains a more genuine Sherpa feel about it and provides a mellow place to sit, drink and yet again eat at one of the local bakeries. 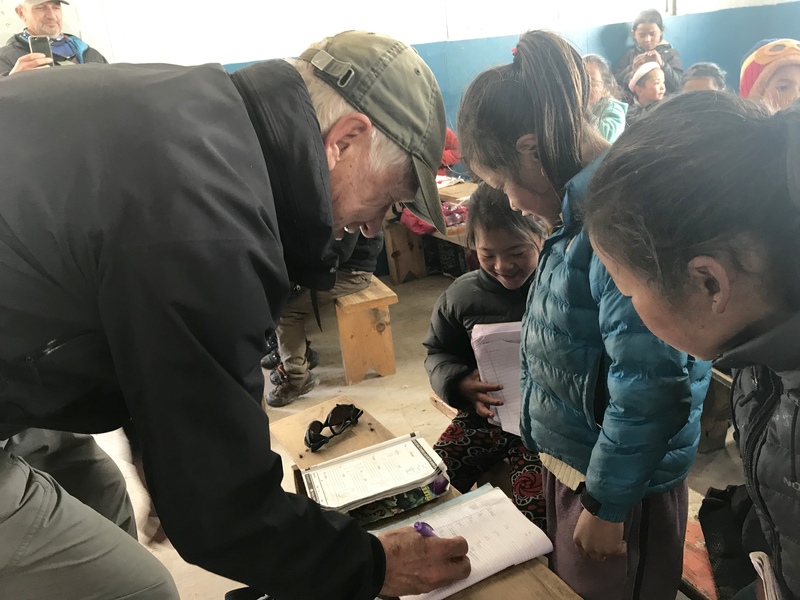 Hillary spent a lot of time in Khumjung after achieving the first summit of Mount Everest in 1953 and we can visit the school that was built here in living testament to his continued efforts to improve the quality of the lives of the Sherpas. 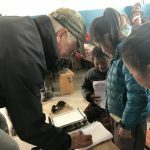 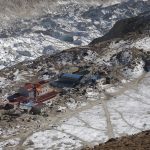 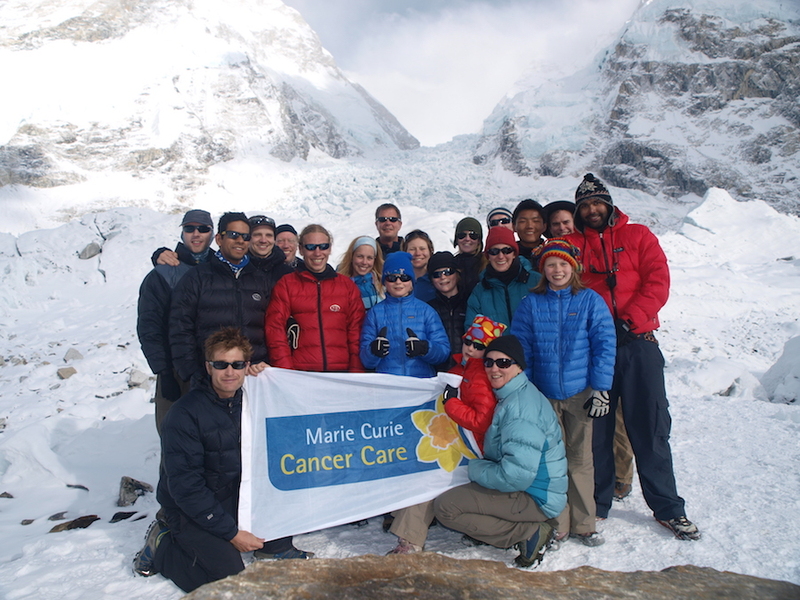 Additionally, the hospital he founded is situated in Kunde, just a few minutes walking beyond Khumjung, but we have no planned time to visit here unless there is demand from the group. 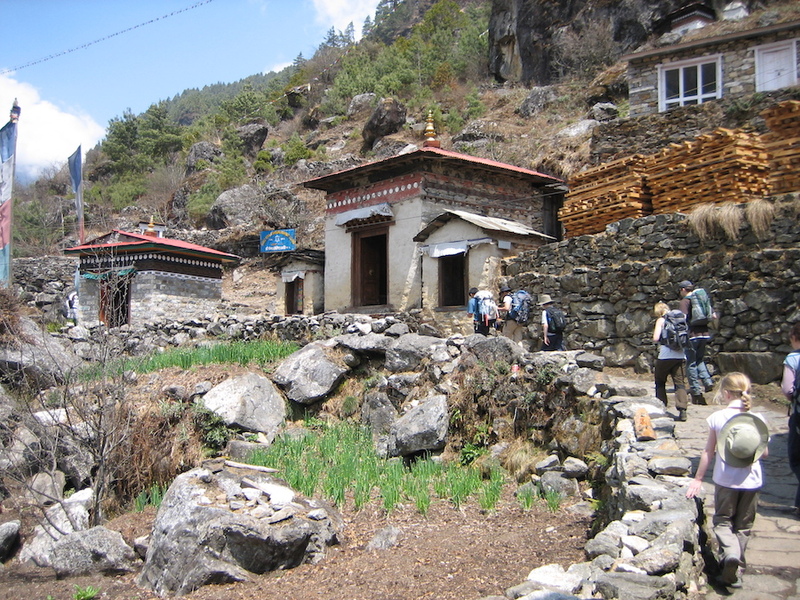 Watered and fed, we head back to Namche for our second night there. 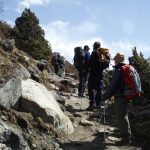 The whole trip takes about 4-5 hours and really helps you to acclimatise for the trail in the coming days. 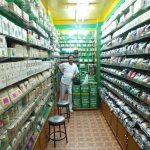 It should also help you sleep better if you had a tough night the night before. 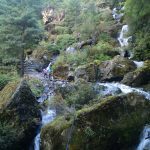 Day 4 – probably what we would regard as the toughest day in our itinerary in terms of time and effort expended – but definitely for great reward. 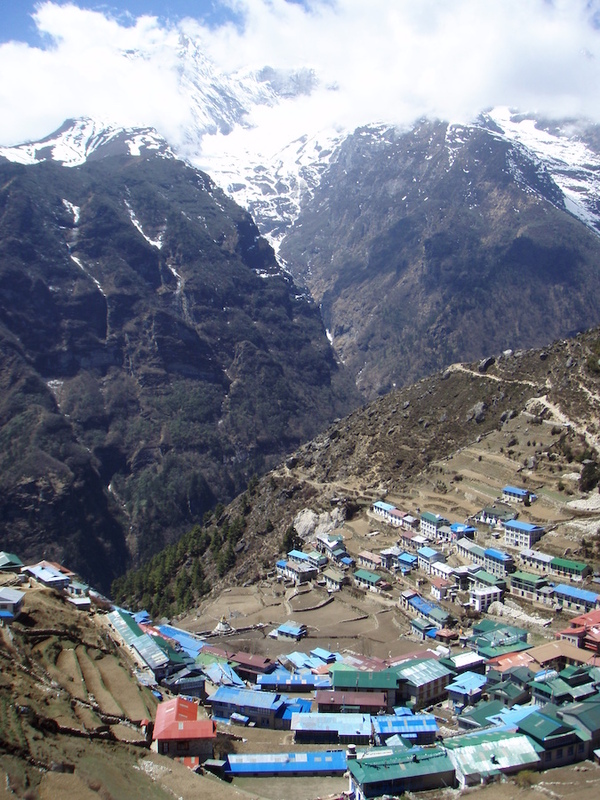 An early start from Namche sees us walk up and out of the town and contour along the west side of the valley. 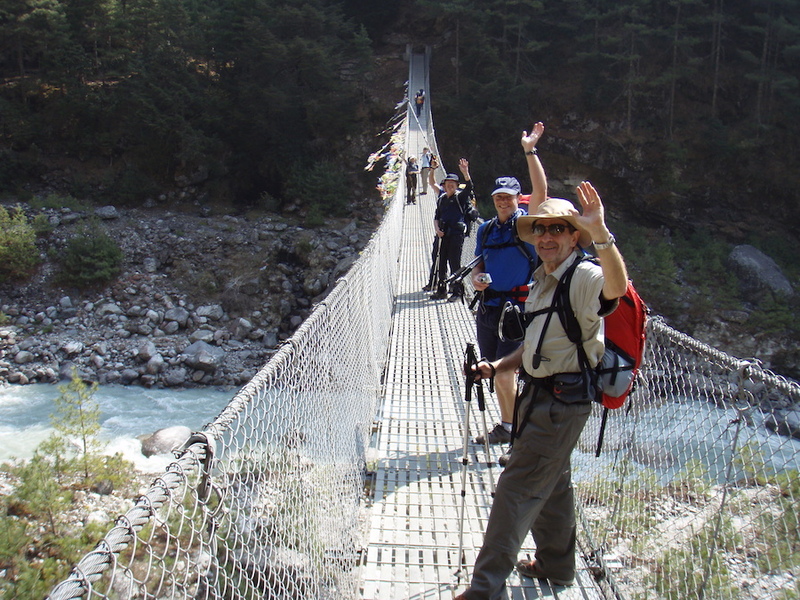 The trail is fairly flat for the first hour and we have tremendous views of Everest, Lhotse and Ama Dablam. 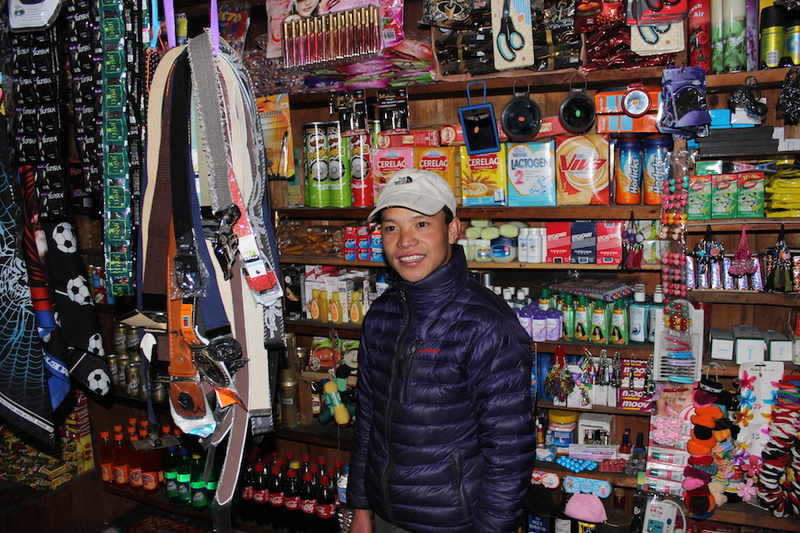 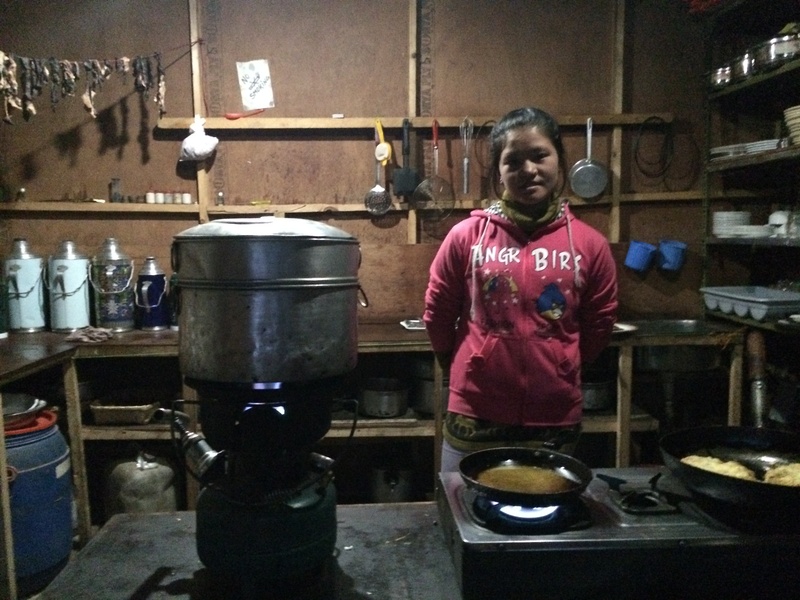 We’ll take a quick pit-stop at Tashi’s ‘Ama Dablam View lodge’ for some of the finest ground coffee (she proudly states that it comes from the USA) and jewelery that you’ll find in the Khumbu. 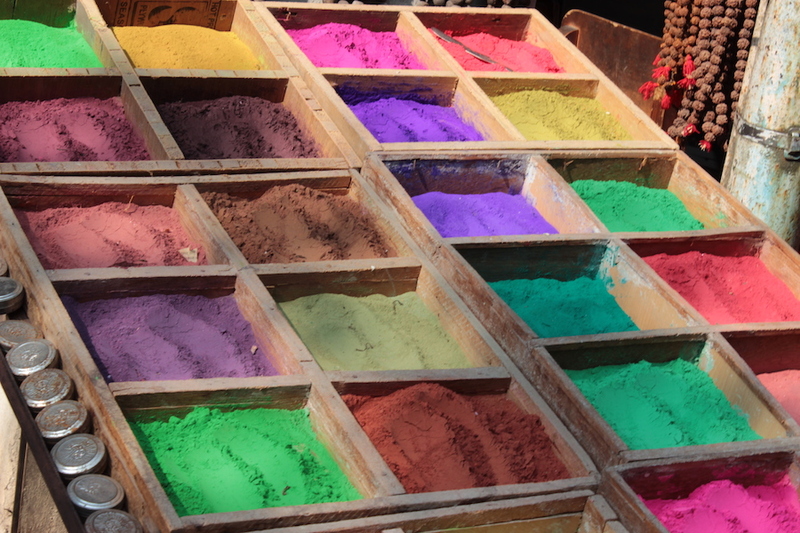 She sells her jewelery each summer in Winter Park, Colorado – hence the reason for the coffee. 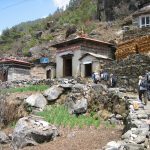 Moving on, we make our way down a long and mostly shaded hill to Phungi Thanga (3250m/10,663ft), a small settlement on the river. 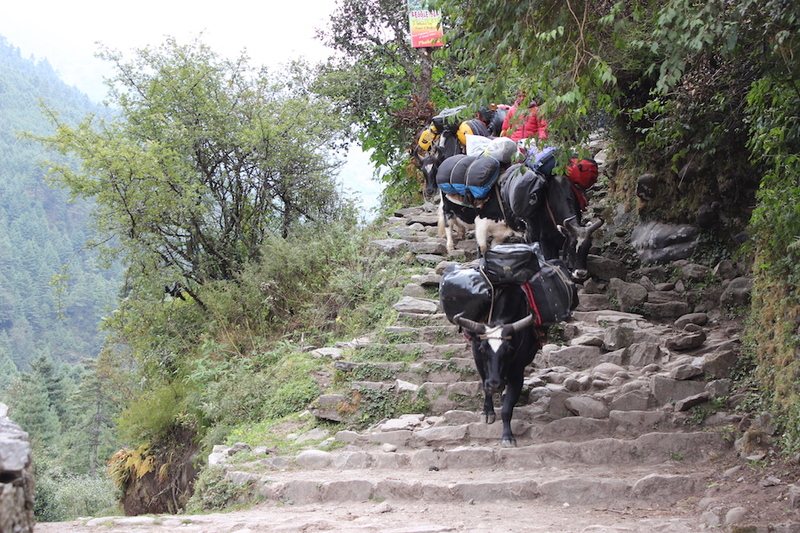 Perhaps a quick snack here, depending on appetites, and then one of the main tests of the trek – Tengboche hill. 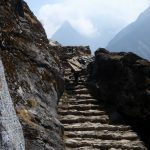 The fairly long and winding trail takes us into the domain of genuine altitude and when we arrive in Tengboche at 3860m/12,664ft, there are often more than a few huffs and puffs. 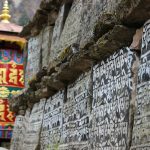 But, fear not, you’ll be rewarded with yet more fantastic views and the incredible Tengboche monastery – the most important Buddhist place of worship in the valley. 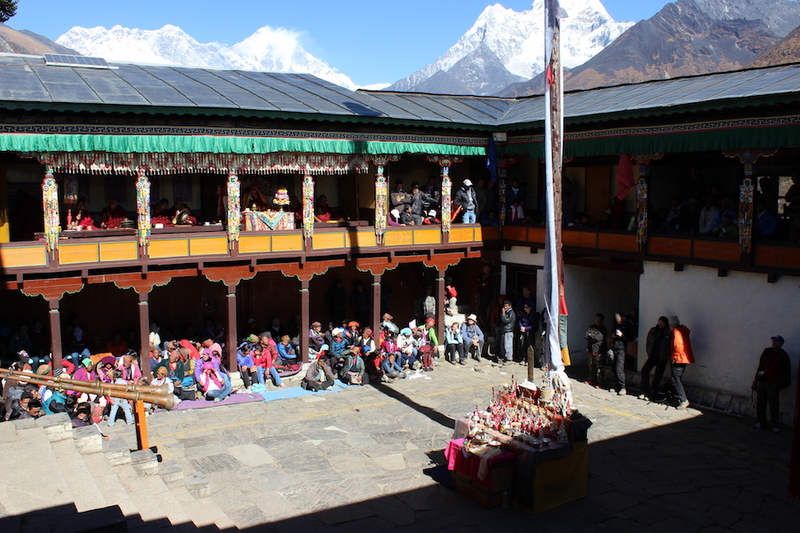 Lunching for about an hour with the opportunity to take a look at the monastery, we then set off in the early afternoon for Pangboche, Ang Nuru’s home and the place where the majority of climbing Sherpas that Rob and Kev have climbed with originate from. 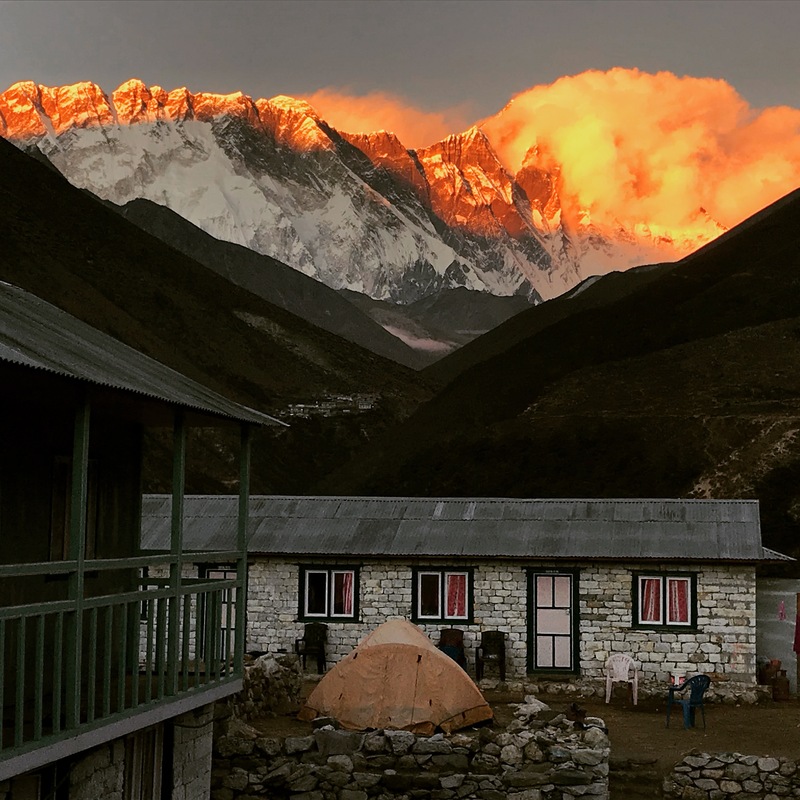 Pangboche is definitely our spiritual home and favourite place in the valley and we look forward to being able to extend the same welcome to you that we receive each year – just like that on returning home! 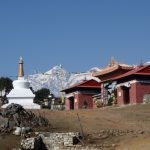 We pass through the rhododendron forest of Deboche (3820m/12,533ft), cross the river and then crest out beyond Pangboche Gompa (Buddhist monument) to the village of Pangboche (3930m/12,894ft) itself. 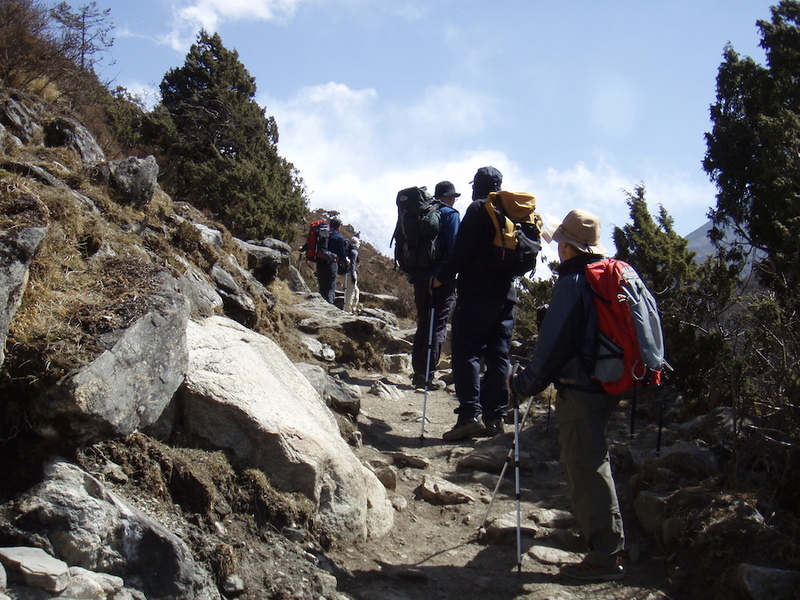 We’ll make our way along the narrow path to Sonam lodge – owned by Nima Lamu (Ang Nuru’s sister) and Gouriman (Ang Nuru’s brother in-law and Kev’s Sherpa on our Everest summit day in 2003). 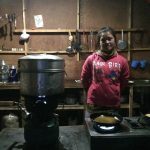 Probably a little tired, you won’t fail to be impressed by BJ’s (the cook) cooking and homely welcome from Nima and Gouriman. 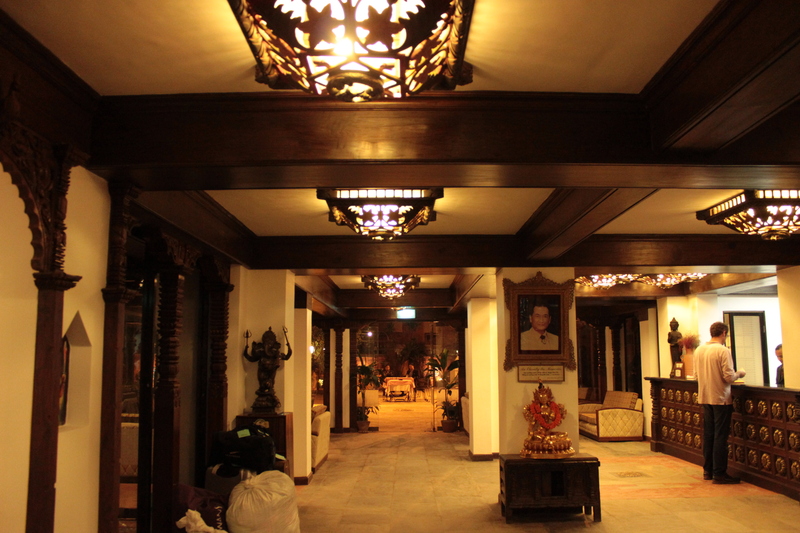 This really is our and now your home from home. 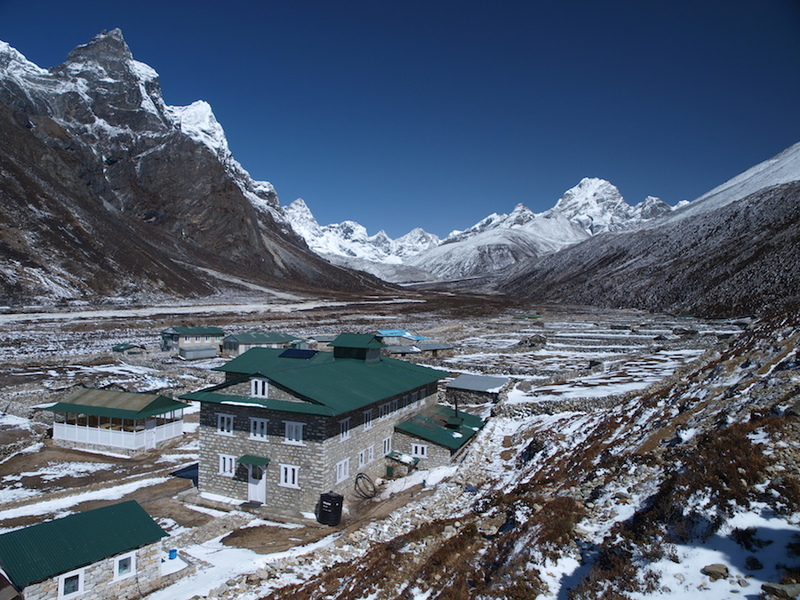 Try and get room 101 – it offers the most amazing morning views of Everest and Ama Dablam. 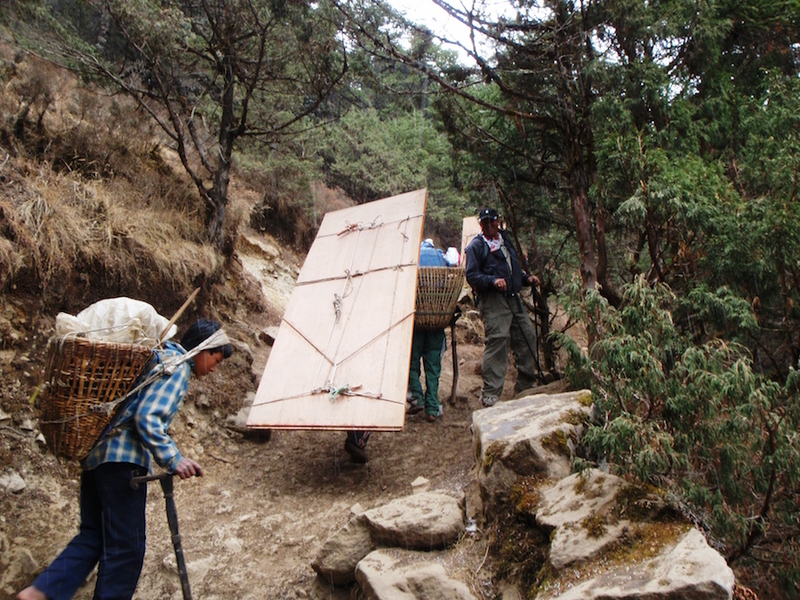 The whole day takes 7-8 hours which includes stops for drinks and lunch. 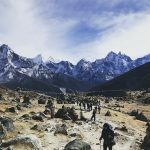 Day 5 – rest day, we promise! 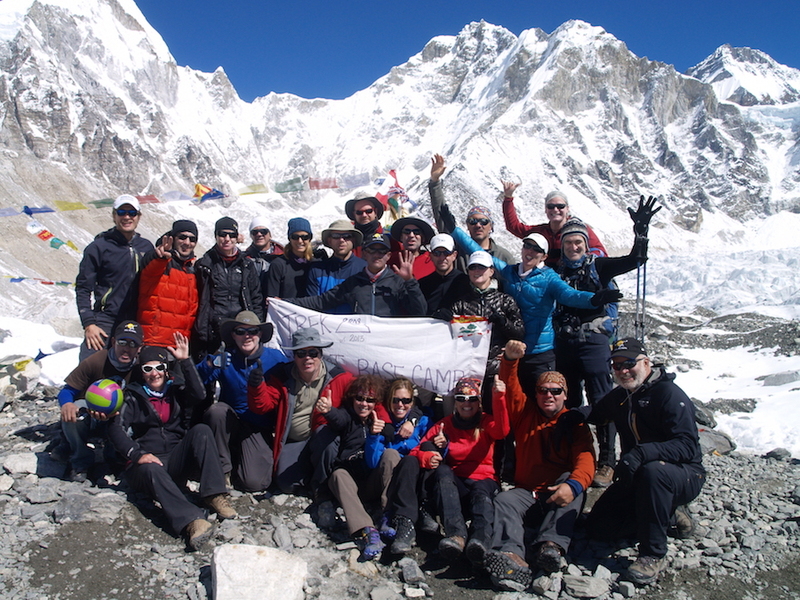 A leisurely start followed by one of the true highlights of our trip – a distinct difference to many other companies. 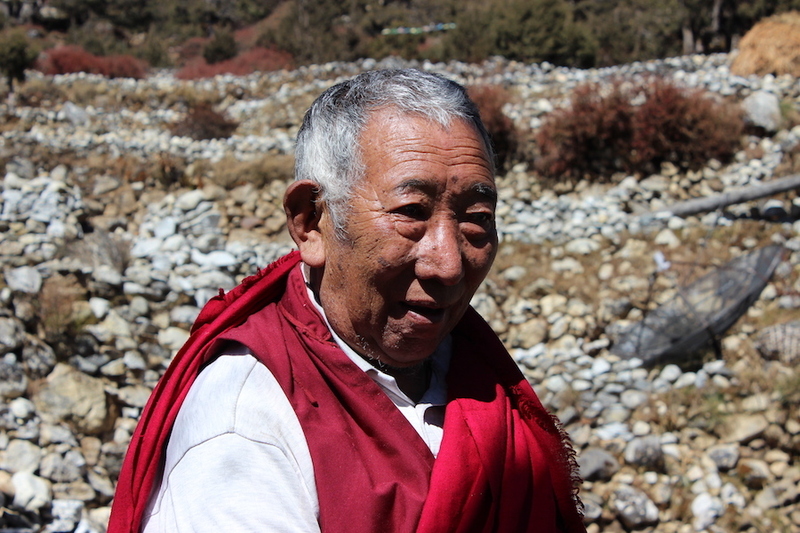 We have privileged access to Pangboche monastery and Lama Geshe. 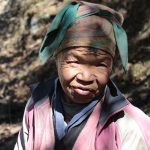 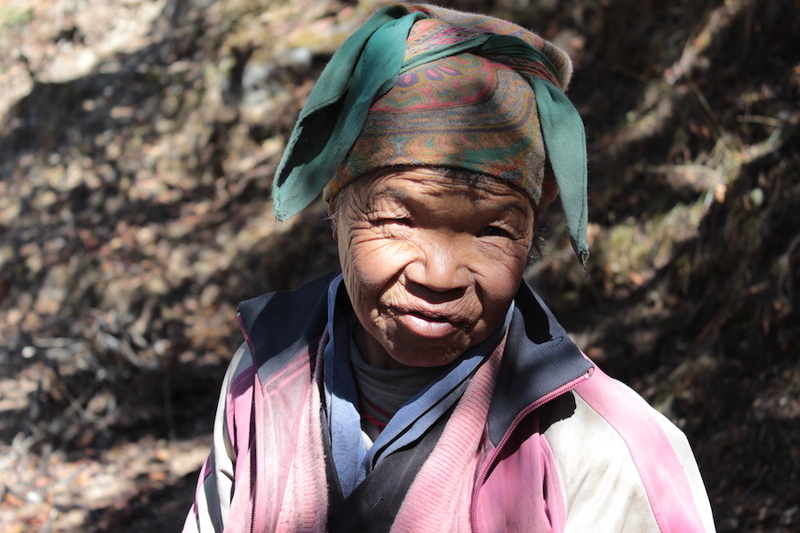 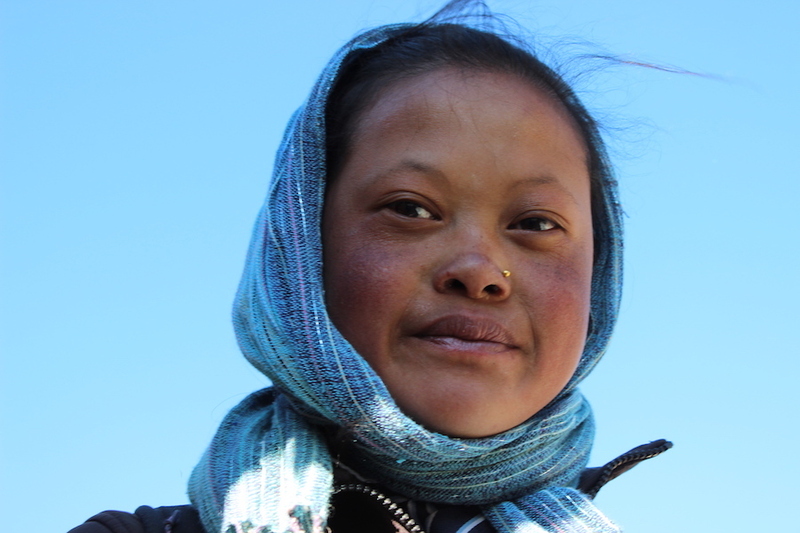 Ang Nuru is patron of the monastery and is a cherished member of the Pangboche community. 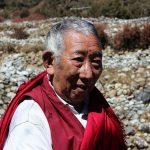 Through him we will meet Lama Geshe, one of the wisest, most spiritual, peaceful and hospitable person you could wish to meet. 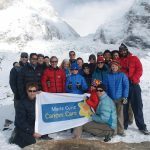 We request his blessing for our group and you can’t fail to be touched by the experience. 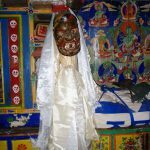 This is not something for the tourists; this is real life… We like to make a donation to the monastery for his time and hope very much that you will too. 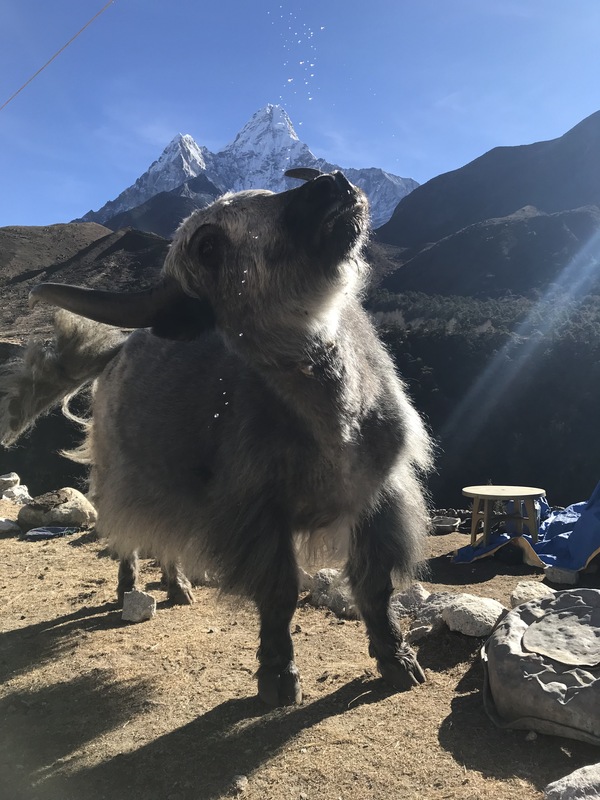 After an incredible morning, the afternoon is yours to enjoy the mountain air, grab a shower, feed-up and prepare for the journey the following day. 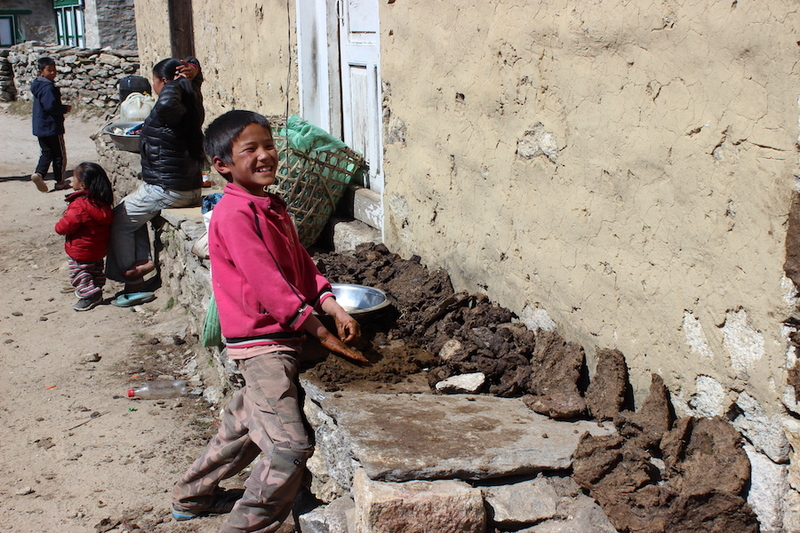 Day 6 – Pheriche here we come! 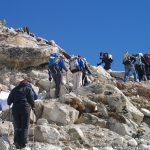 An easy day in terms of distance covered on the ground and most people should arrive in Pheriche (4240m/13,911ft) some 3 hours later. 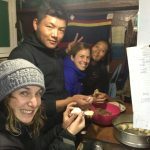 Hugging the side of the valley on leaving Sonam Lodge, we pass through Shomare (4010m/13,156ft), a relatively poor, predominantly Tibetan village and march onwards onto more open ground and Orsho (4190m/13,747ft), where we can stop for tea. 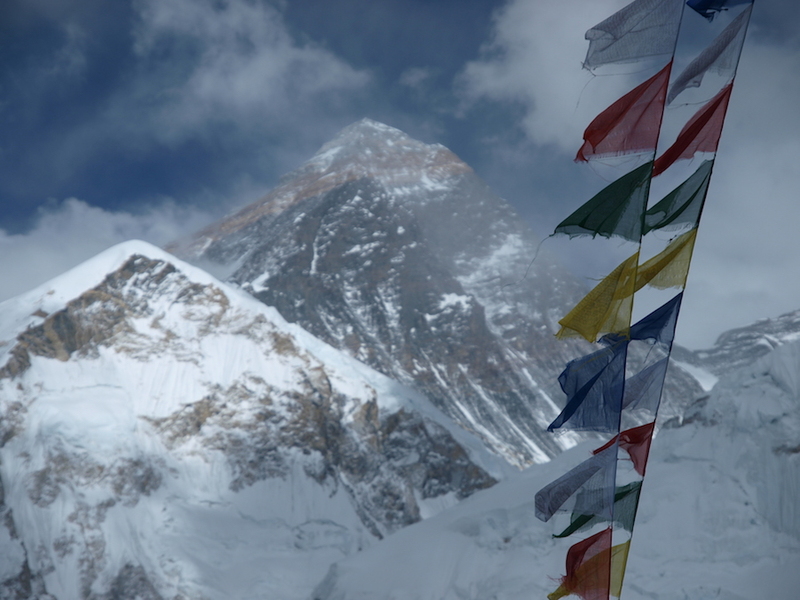 Ama Dablam looms high above us. 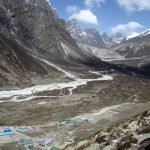 We then ascend the relatively small hill of Pheriche Pass and then drop back down into the Western fork of the Khumbu valley, to the river, and follow it in to Pheriche village. 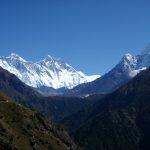 The eastern fork would take us in the direction of Island Peak – of interest to those continuing on to climb this mountain after reaching Everest Base Camp. 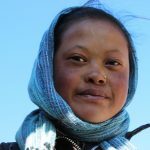 On arriving in Pheriche, we’ll take a relatively quick lunch with Sona and Pemba (whose tea house also has a reliable and relatively cheap internet connection – a 50% discount for our group!) 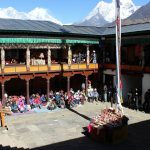 and then attend the presentation by the Himalayan Rescue Association (HRA) about altitude sickness. 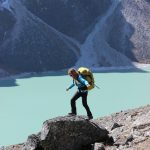 Hopefully you’ll already know a lot about the subject from your own research or after chatting to Kev and Rob, but we always find this a good way to reinforce the importance of good acclimatisation. 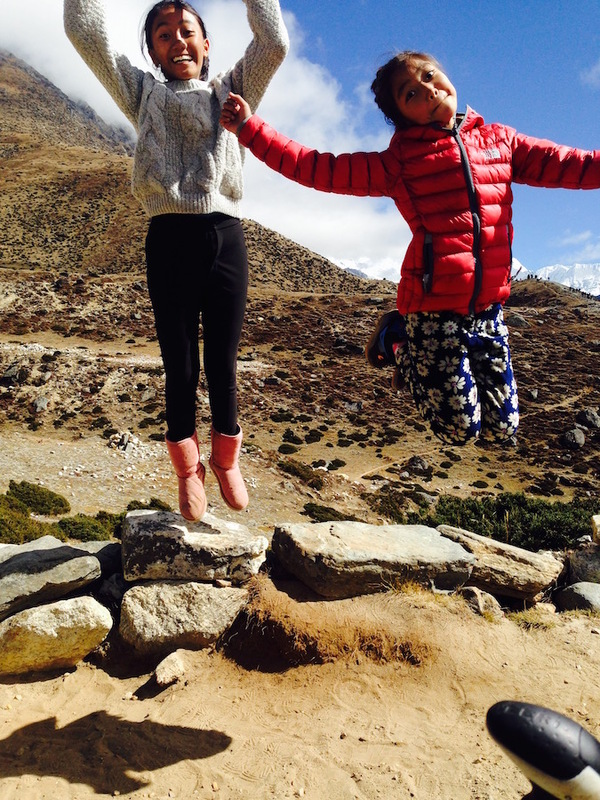 Plus, it’s fun too (usually!). 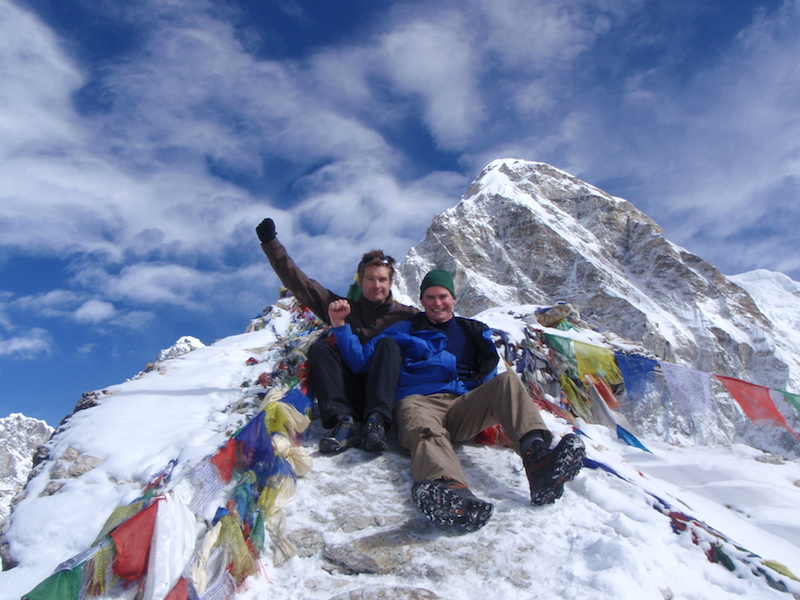 After the presentation, we like to ascend the hill behind Pheriche. 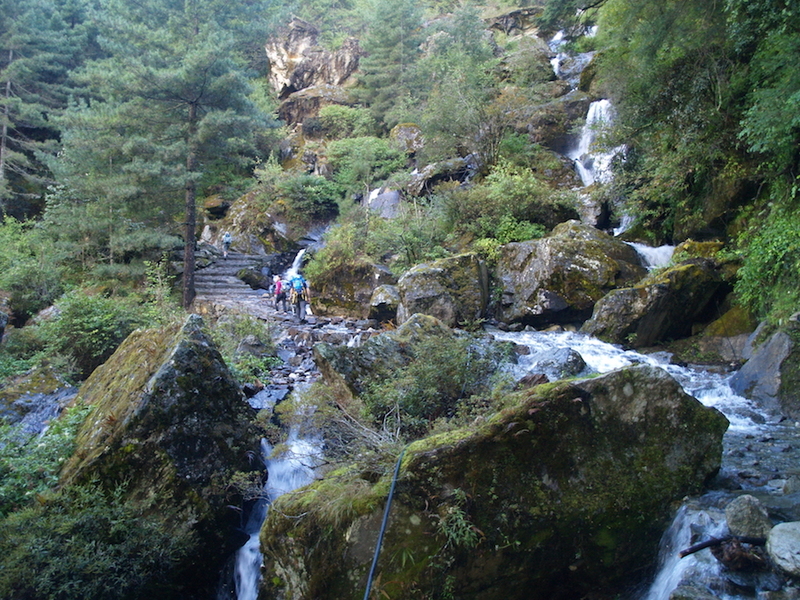 It’s about a 100m/330ft ascent that gives us tremendous views up valley. 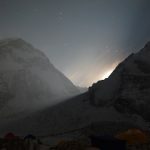 But, most importantly, and you’ve guessed it, more time above our ultimate sleeping height is going to help us all sleep a little better that night and ensure that we all have a smile on our face the following morning. 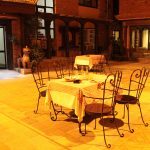 A leisurely supper that evening. 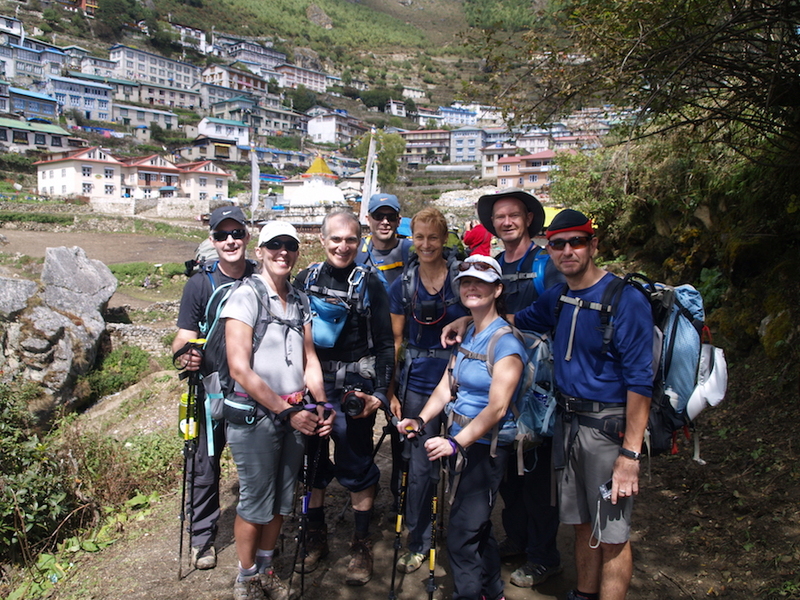 Day 7 – it’s on this leg that you notice yet another change in the scenery. 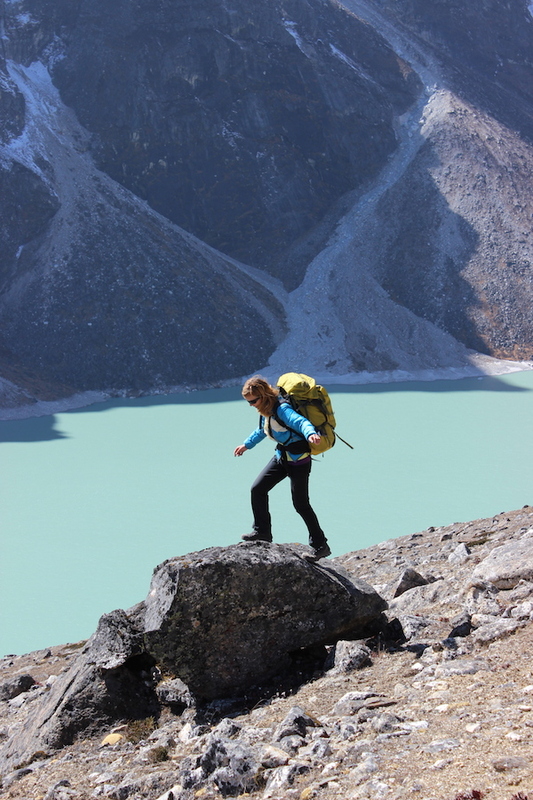 Life really does become more barren up here, as we ascend to the dizzy heights of Lobuche (4910m/16,109ft). 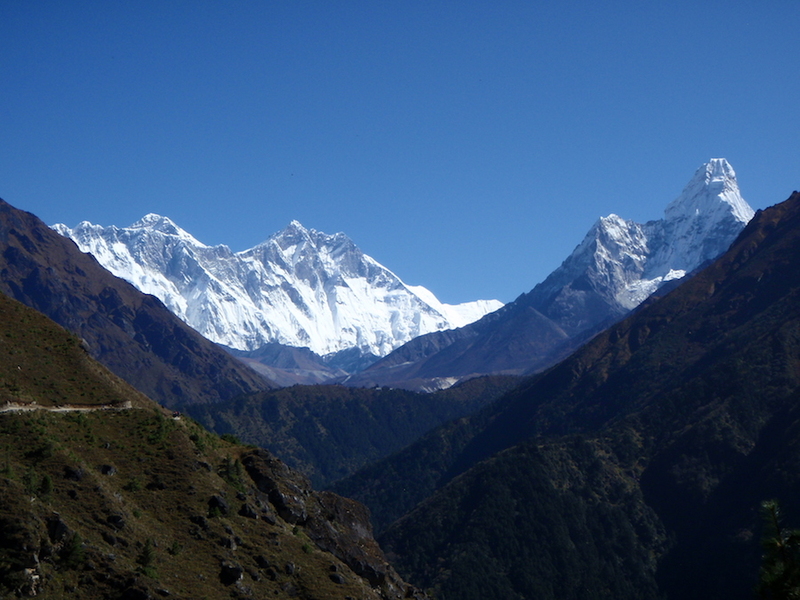 It’s a lot more rocky and mountainous and the air tangibly thinner. 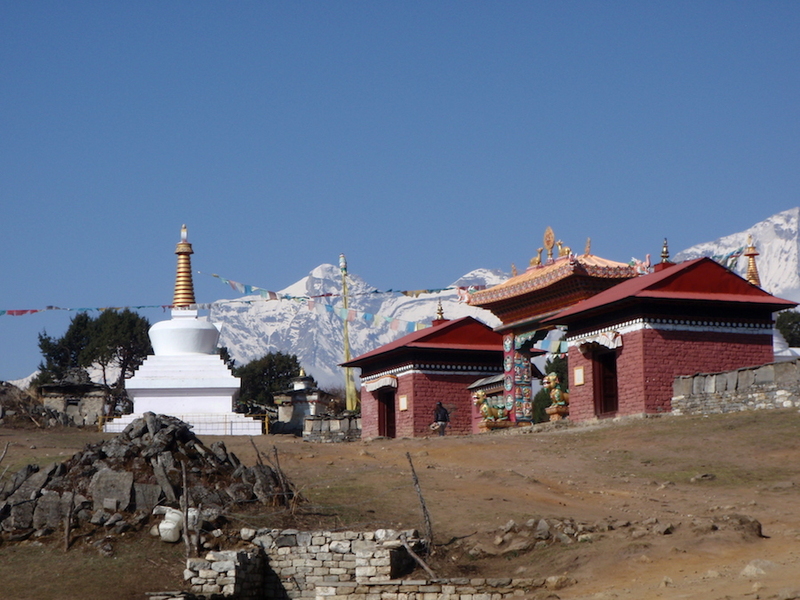 We start by re-ascending the hill behind Pheriche and walk northwest along the plateau overlooking the valley floor. 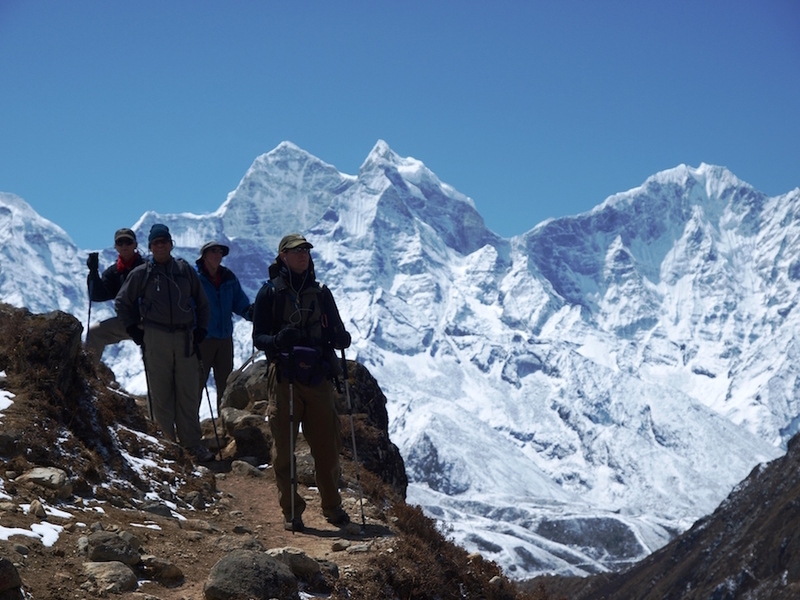 We have simply outstanding views of Tabuche Peak and Ama Dablam and the sense of scale is mind-blowing. 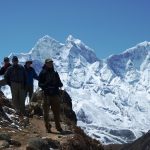 We should catch glimpses of Cho Oyu and Makalu as well good views of Island Peak from the top. 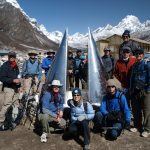 After a couple of hours, we take a northerly bearing and arrive at Dughla (4620m/15,157ft) and the tail of the Khumbu Glacier. 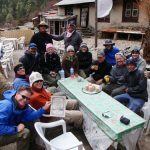 We’ll take a lunch stop here and build ourselves up for the significant challenge of Dughla Hill. 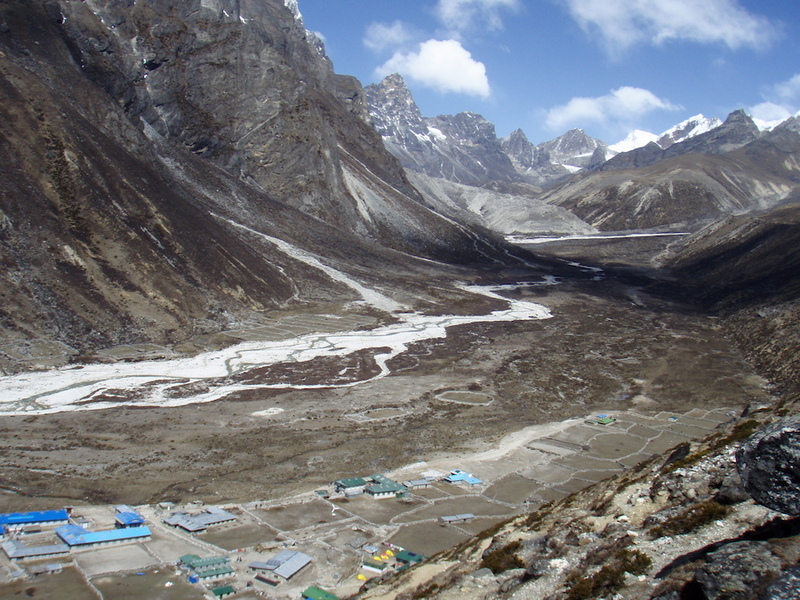 The hour ascent leads us onto flat ground, which leads us into Lobuche. 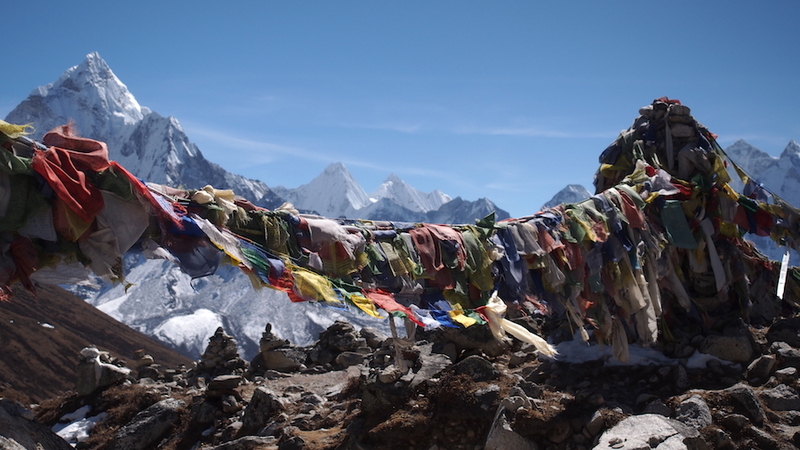 At Dughla Pass, prayer flags and memorials fill the vista, giving a haunting feeling to this place. 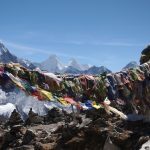 The sad realisation that each of these memorials represents at least one life lost on Everest, provides ample evidence of the potential dangers of climbing the mountain. 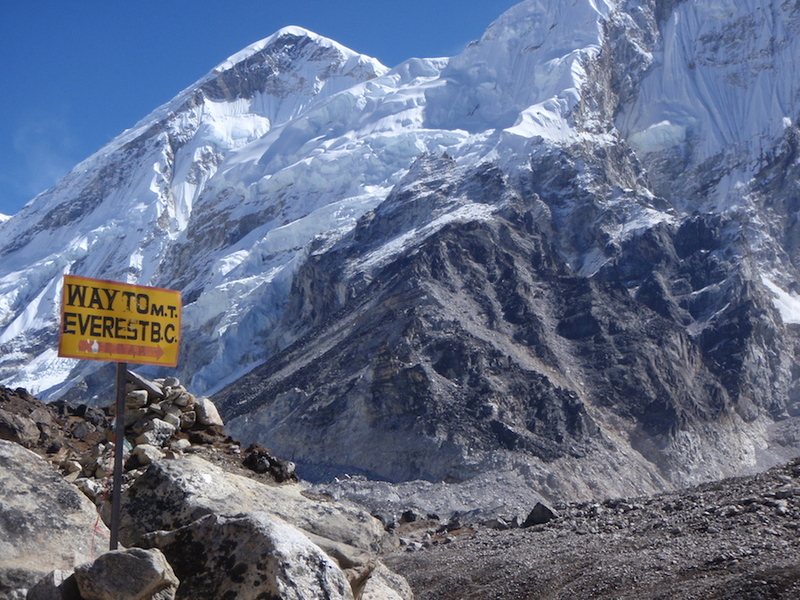 This place is both spiritual and poignant, but is testament to man’s drive to push the limits. 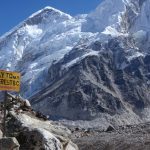 Despite all the fanfare surrounding Everest, it makes you realise that it is a very real mountain… After a total of about 6-7 hours at a slow pace and including lunch, we’ll arrive at Lobuche (4910m/16,109ft). 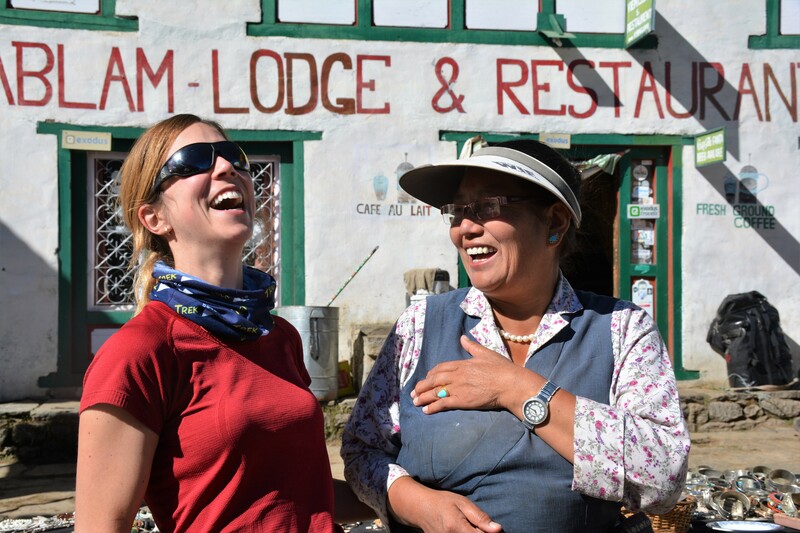 The accommodation is perhaps a little more wanting with respect to luxuries, but Pemba at Sherpa Lodge will give us a tremendous welcome with her infectious laugh and sense of humour, and importantly a clean room and good food. 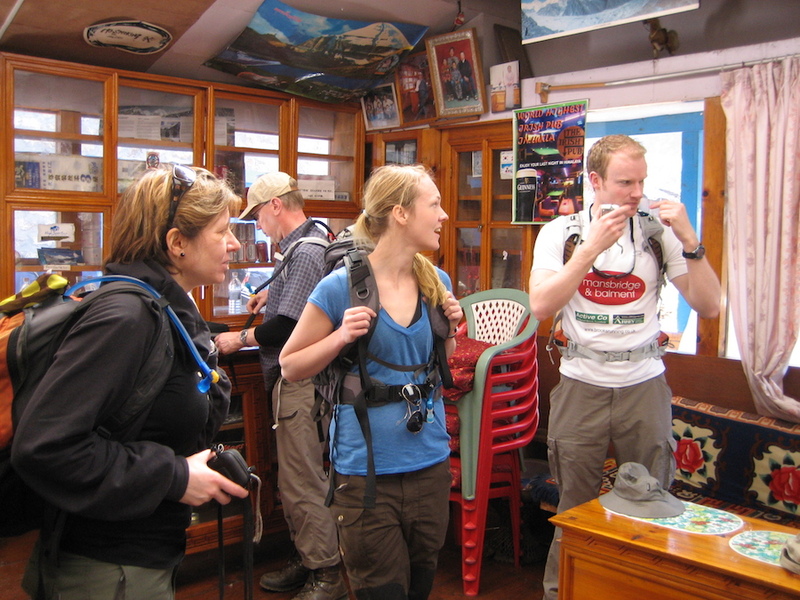 Ginger black tea to help stave off any symptoms of altitude, a bite to eat and then one final sortie that day before supper. 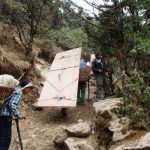 We walk up the hill behind the lodge to breach the altitude of 5000m/16,403ft – a definite landmark for all of us in terms of physical achievement and a sure way to improve the chances for a good night’s sleep! 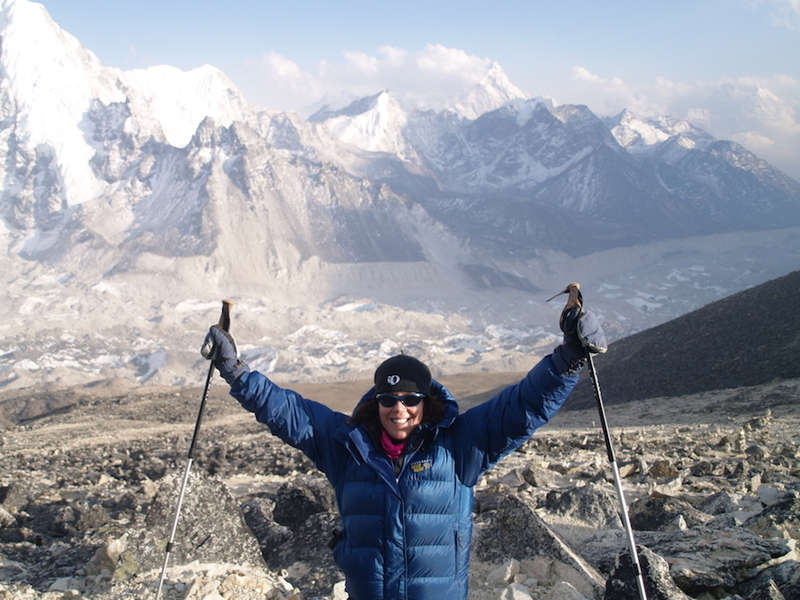 Day 8 – hopefully you’ll rise, rested and ready for the push to Gorak Shep (5140m/16,863ft). A light breakfast accompanied by plenty of tea to get us going, leads us in to the start of the day that will provide us with stunning views of Nuptse, the summit of Everest and Lhotse. 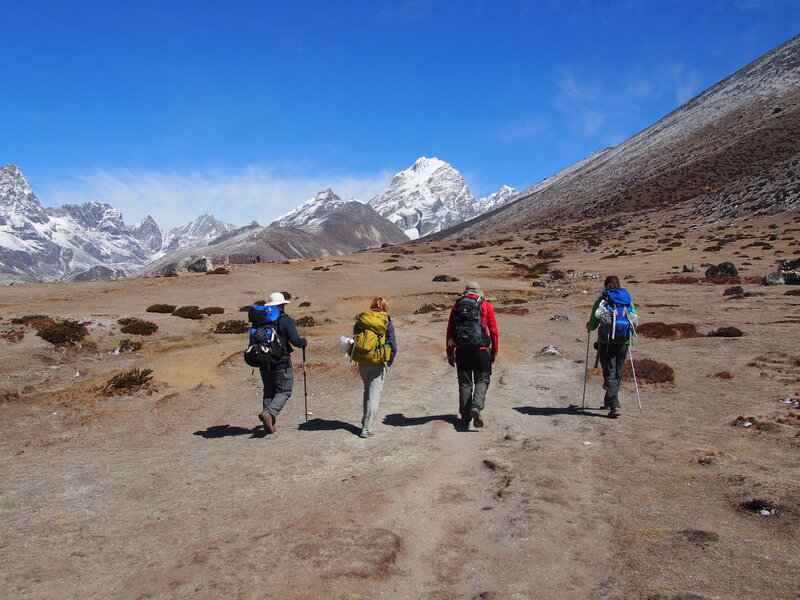 We join the trail which traverses a dry plateau until the relatively small, but challenging Lobuche Hill. 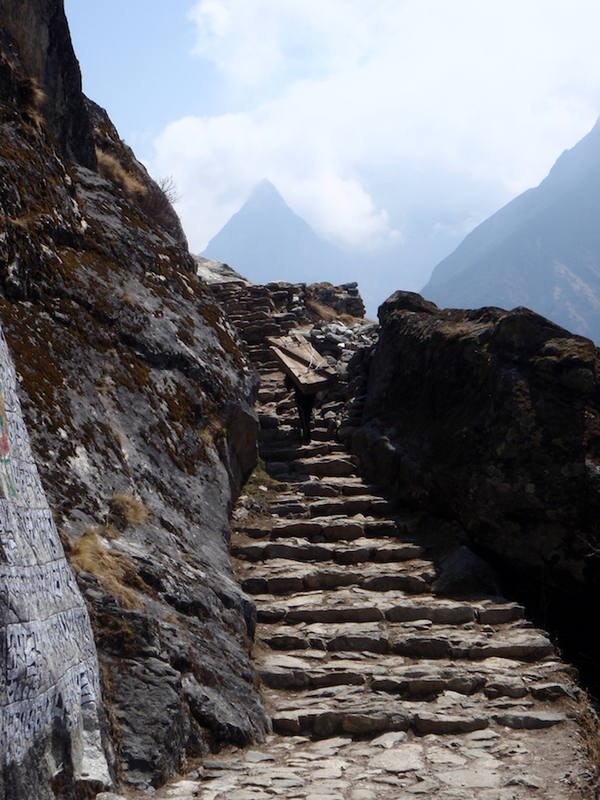 From here we follow the undulating trail across a rock field until we finally get to Gorak Shep some 3 hours later. 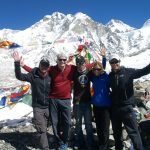 Depending on how people are feeling and the prevailing weather conditions at the time, for those willing and able, an afternoon departure to ascend Kala Patthar (5550m/18,208ft) and highest point on our trek, is an available option (3-4 hours). 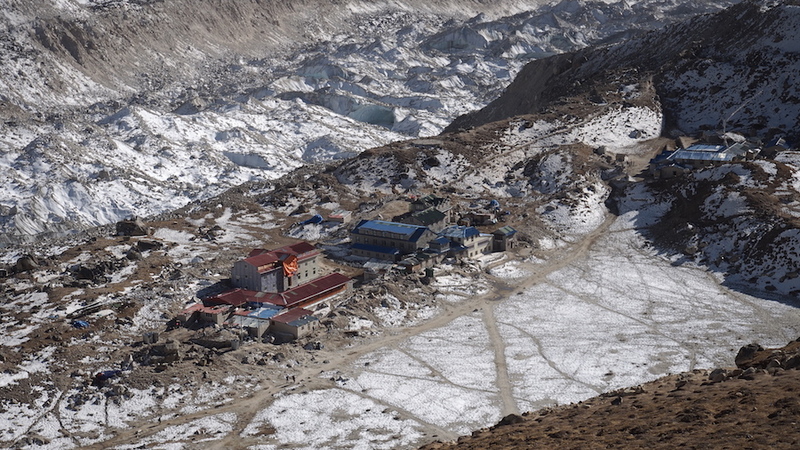 From here we get the postcard view of Everest, surrounded by Nuptse and Lhotse. 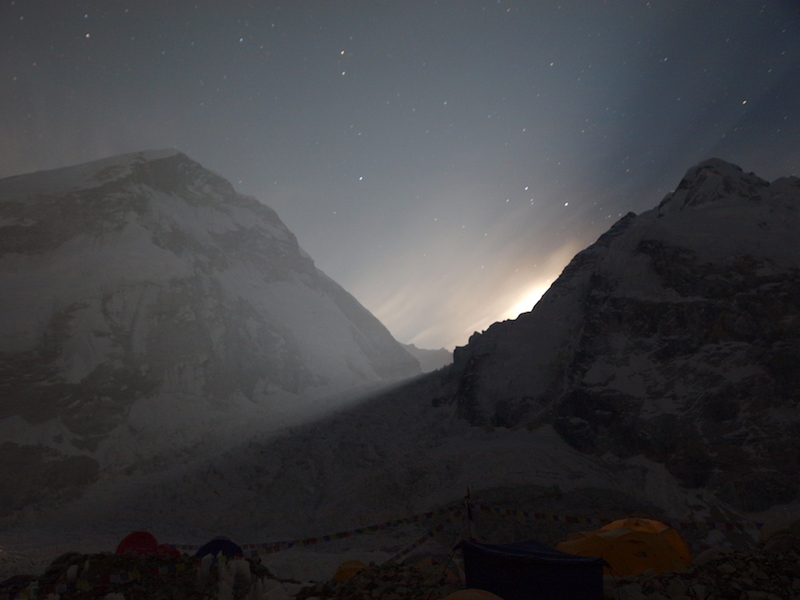 If we’re lucky, we’ll see the sun cast its golden rays of flickering light upon the southwest face of Everest as it heads below the horizon, revealing before us the true majesty of this great mountain, a burning emblem of human achievement and a true wonder of our world. 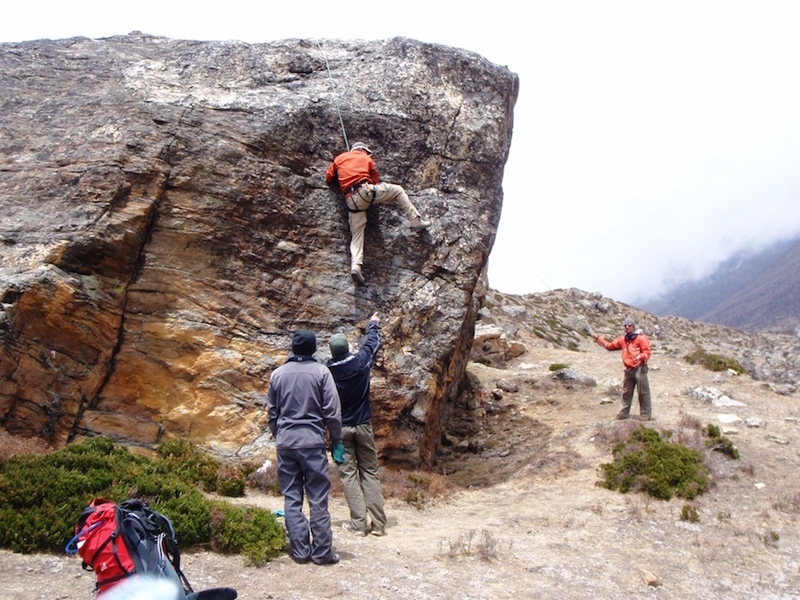 But hey, before I get too emotional, fear not for those who preferred to take a rest that afternoon! 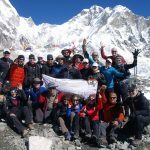 The following morning, early if possible, the remaining part of the group can make their ascent of Kala Patthar, and if early enough, will be able to see the sun rise from behind Everest – again, another wonderful moment. 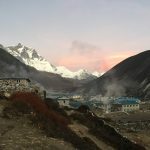 Day 9 – the morning visit of Kala Patthar completed and breakfast ravenously consumed, sees us head out for the last stop on the trail – Everest Base Camp (EBC), standing at 5364m/17,598ft. 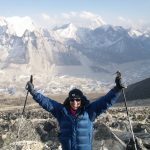 The 3 hour trek across the moraine (a rock field on ice) of the Khumbu Icefall allows us a better sense of what it is like to climb the mountain. 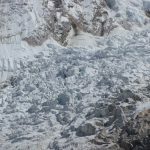 With the constant grinding, groaning and ‘popping’ of the Khumbu Icefall on its continuous march down the mountain, whose mouth opens out onto EBC, you get a tangible experience of what the mountain is and what it must feel like to try and climb it. 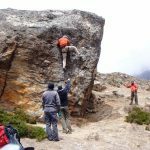 Only 6 hours and 800m/2625ft separates you from camp 1, but wait before committing; the permit to climb the mountain costs $10,000 per person, so unless you have deep pockets, leave it for another day! 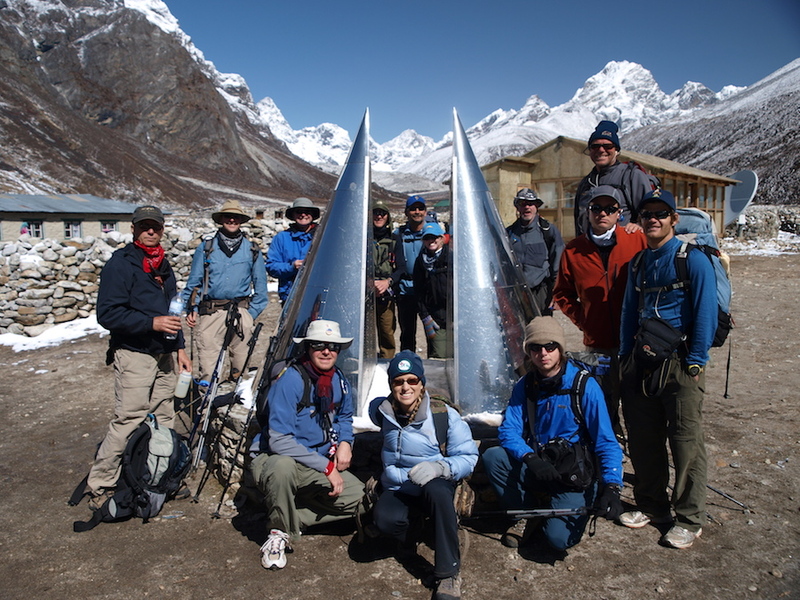 We return back to Gorak Shep later that afternoon, probably tired and weary, but satisfied with all of the efforts of the day. 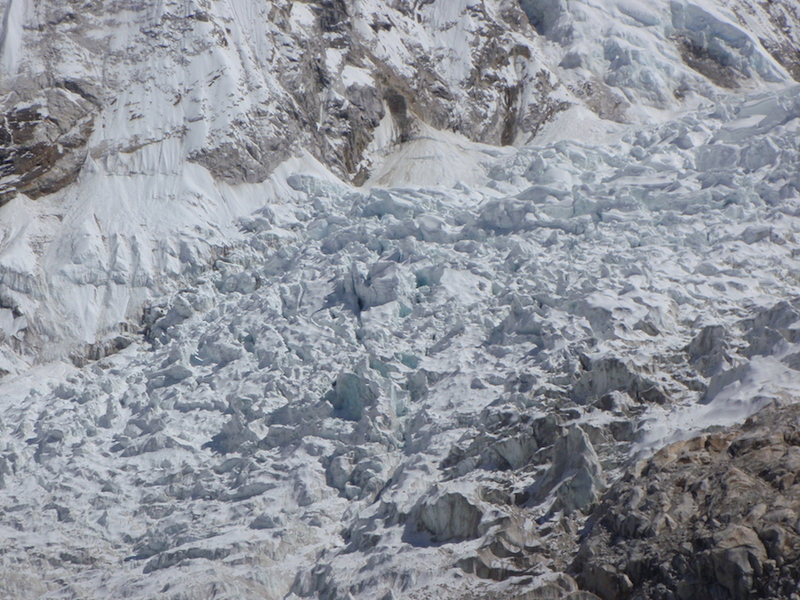 If we can, there is the option of continuing down to Lobuche, but this is obviously group dependent. 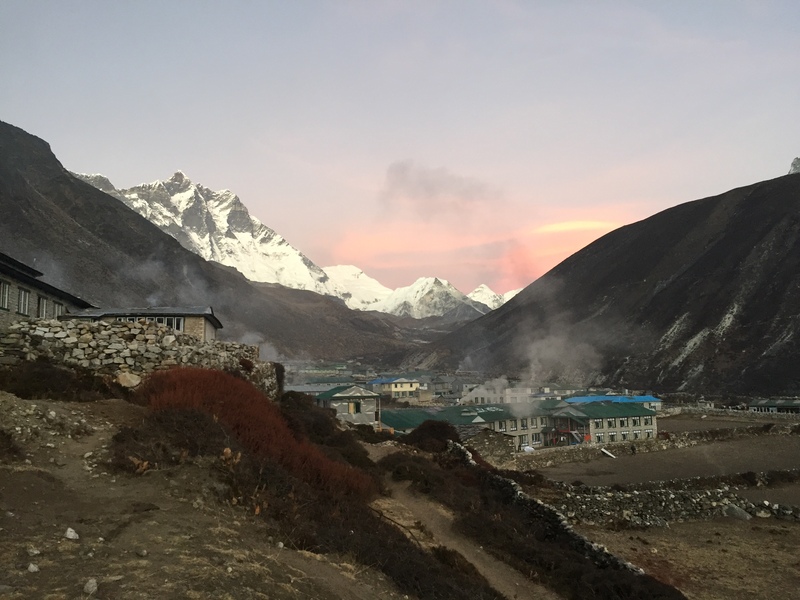 Day 10 – our descent to Pangboche starts with a gentle breakfast and although it took us 4 days to ascend from there, the journey down is easily done over a period of 3-5 hours with stops at convenient places. 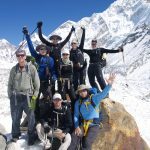 There are other options available: for those with an interest in the Gokyo lakes – this could be arranged with a porter team. 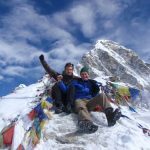 For those wanting to climb Island Peak – crossing the Kongma La Pass from Lobuche to Chukhung (4730m/15,518ft), placing you one stop from Island Peak base camp and in the Eastern fork of the Khumbu – is an option readily available. 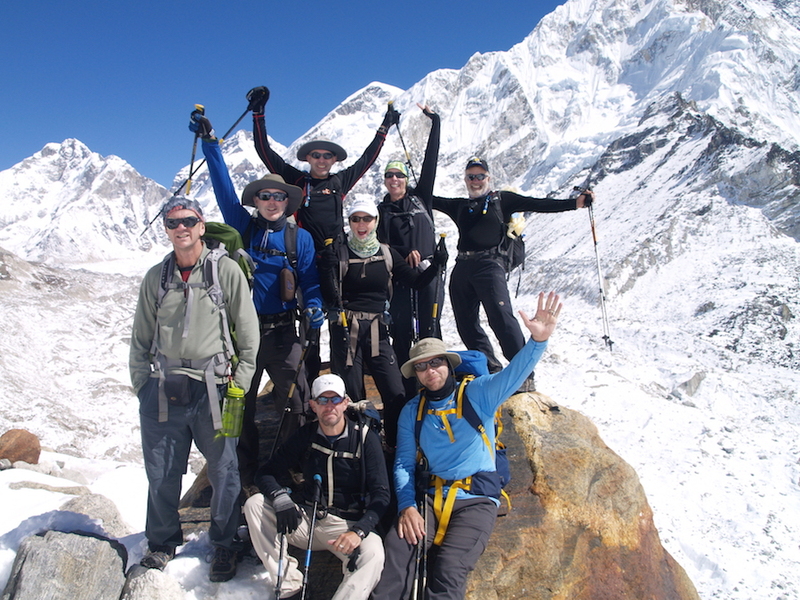 We are a team that will do our very best to help you achieve your goal, numbers permitting. 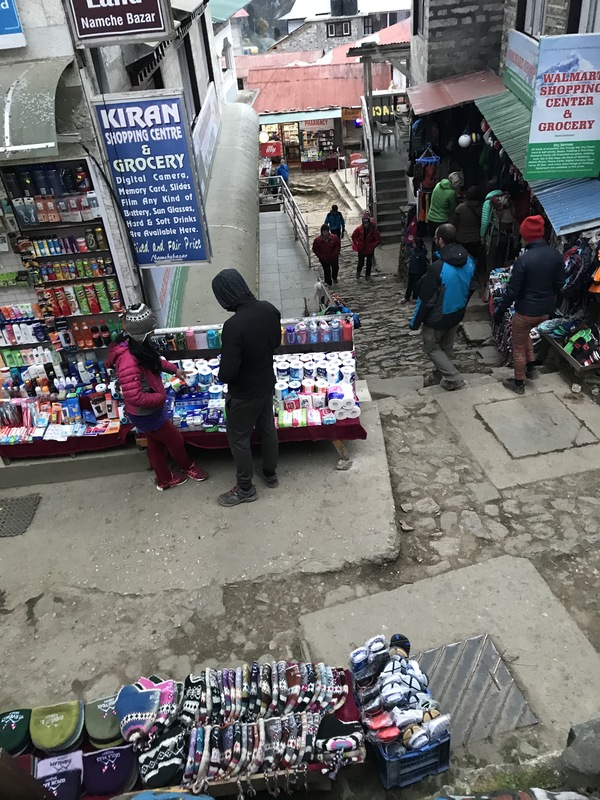 Day 11 – Pangboche to Namche Bazaar, taking between 4-6 hours and leaving you with an afternoon to cruise the bakeries and buy some souvenirs. 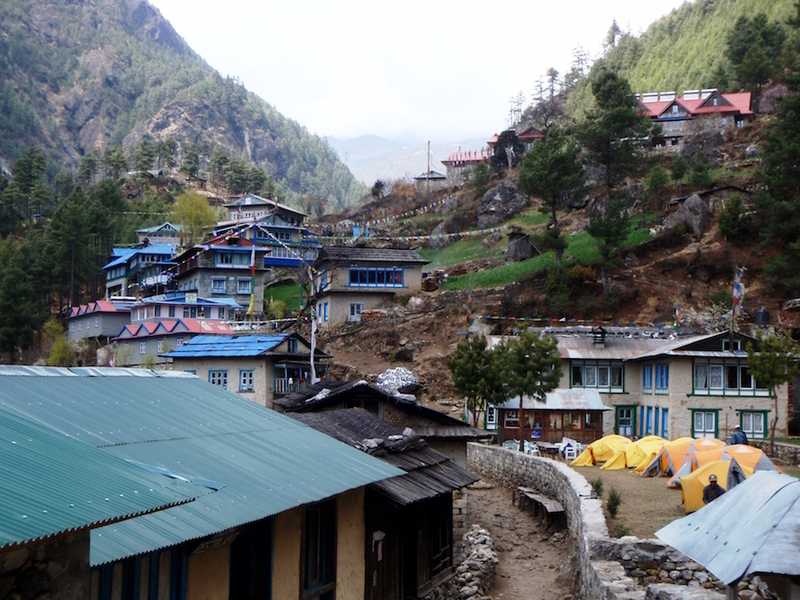 Day 12 – Namche Bazaar to Lukla, gateway to home. 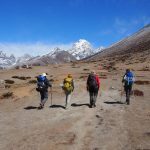 Taking between 5-7 hours, with lots of stops, you’ll end up tired, a little sweaty, ravenously hungry and pounds/kilos lighter (not quite a money-back guarantee, but you definitely won’t put on weight!). 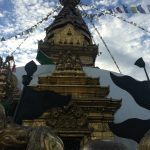 The welcome from Dawa Phutti and Ang Pasang, the satisfaction that you’ve done your best (and almost certainly succeeded) and that cold beer that slides down just a bit too easily, allow you to treasure all those moments in the valley and give you that ‘buffer’ period before entering the cauldron of Kathmandu. 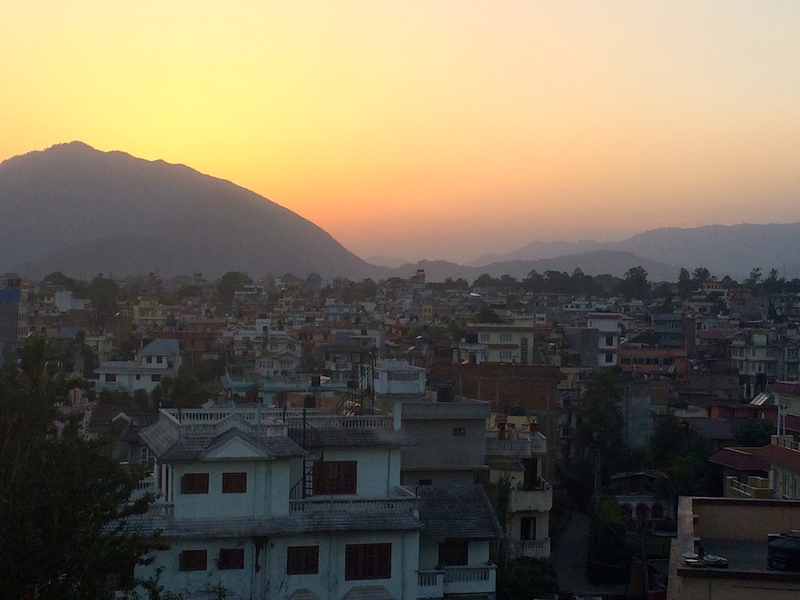 Day 13/KTM 3&4 – Weather permitting, an early flight back to Kathmandu. 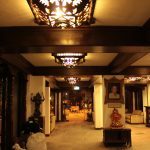 2 nights accommodation available in the same/similar hotel and an optional goodbye meal the night we get back. 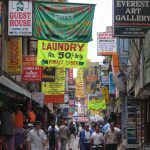 Make sure you find time for the inclusive ayurvedic massage, a real treat to iron out all those aches and pains prior to going home. 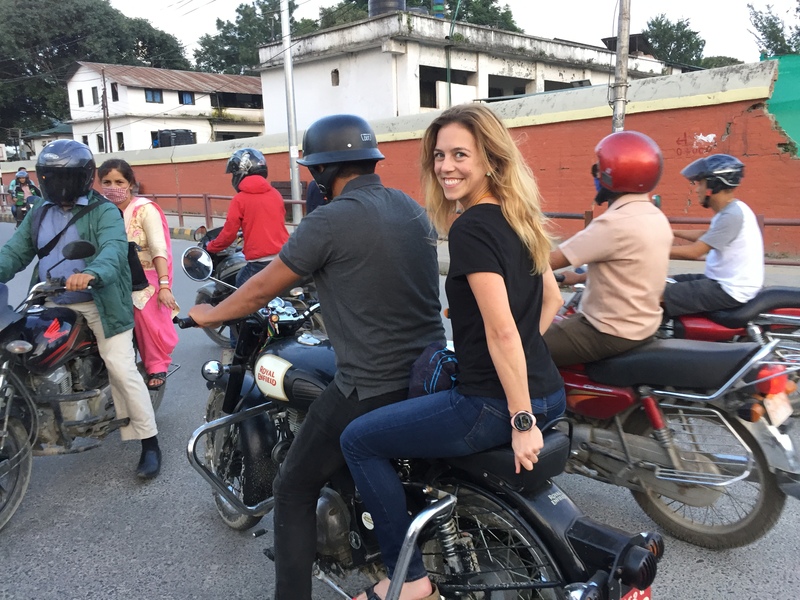 Day 15 – Departure date for home – or why not take advantage of the chance to visit the Chitwan jungle? 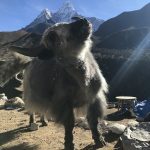 Other options are available on request. 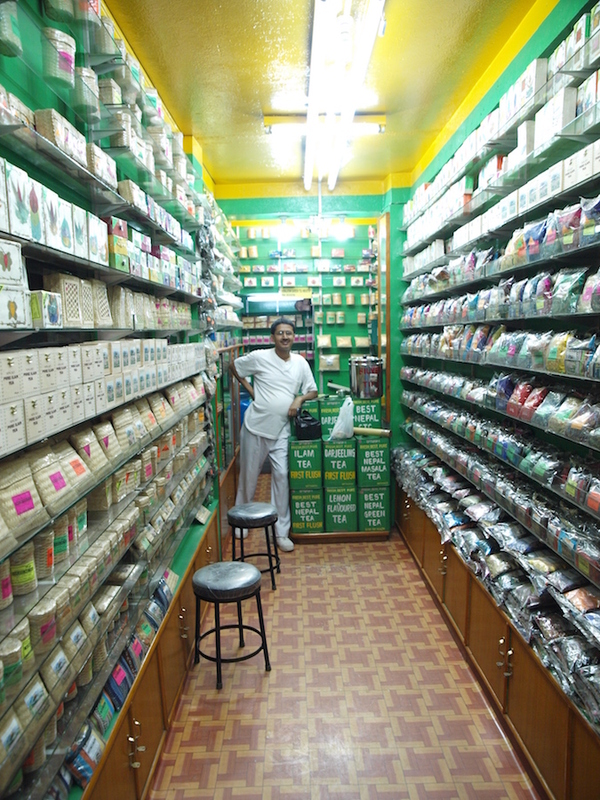 We’ll do our very best to help you with anything that you have in mind.